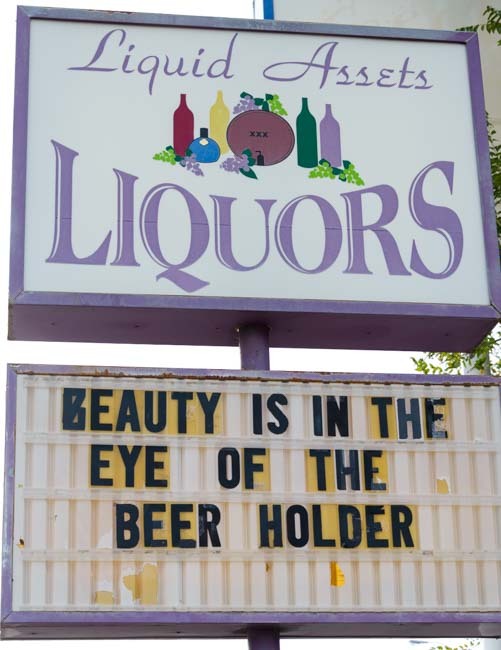 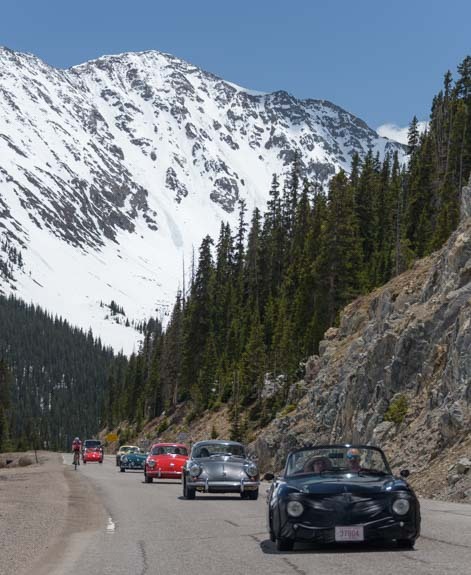 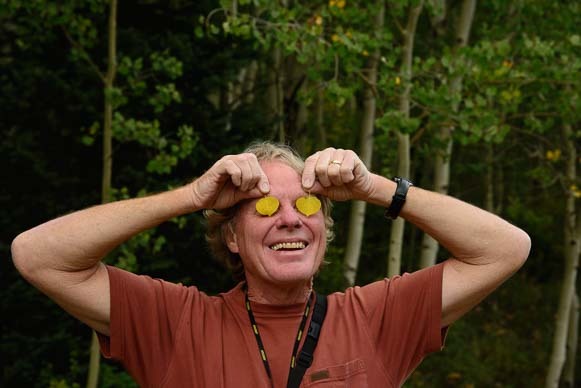 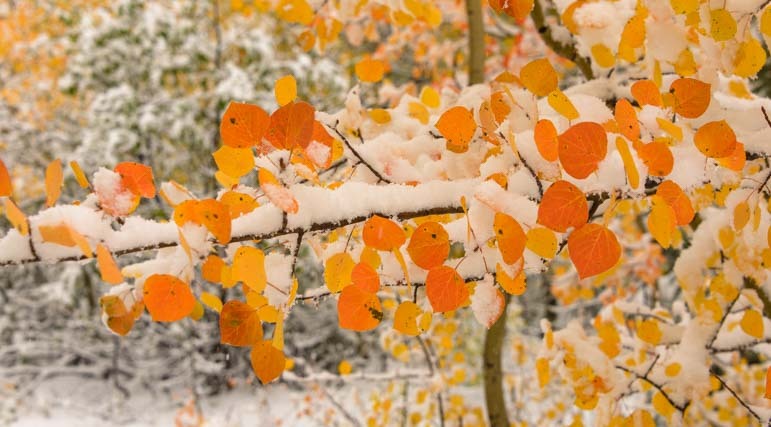 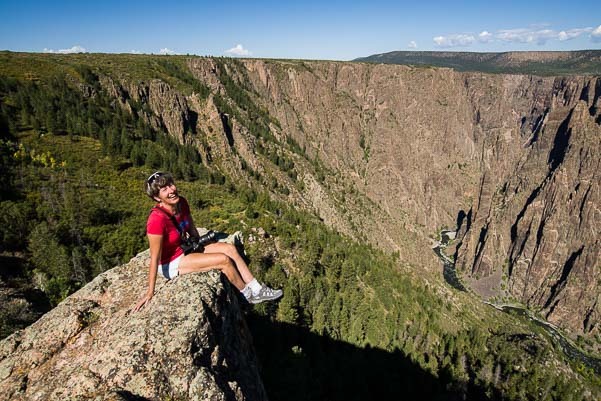 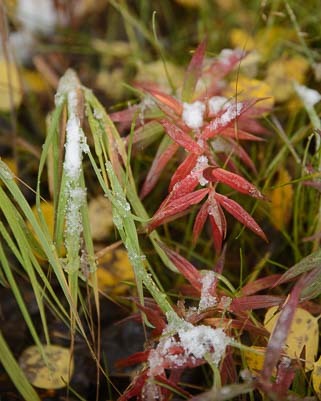 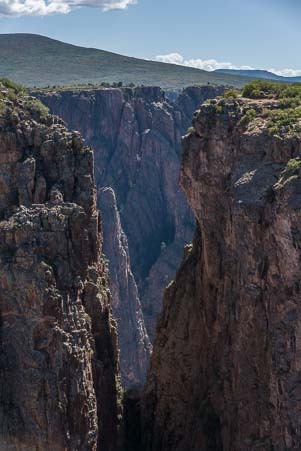 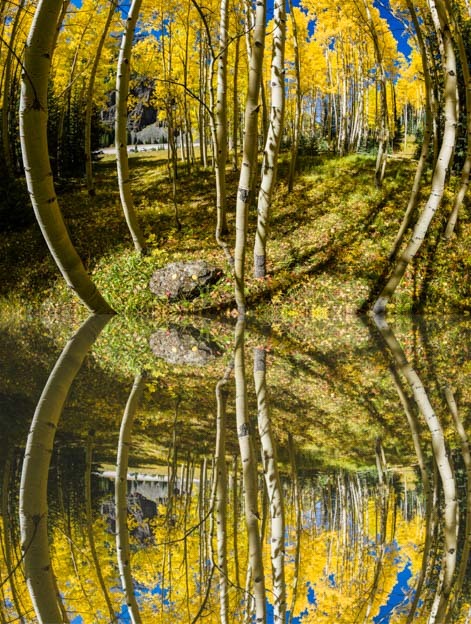 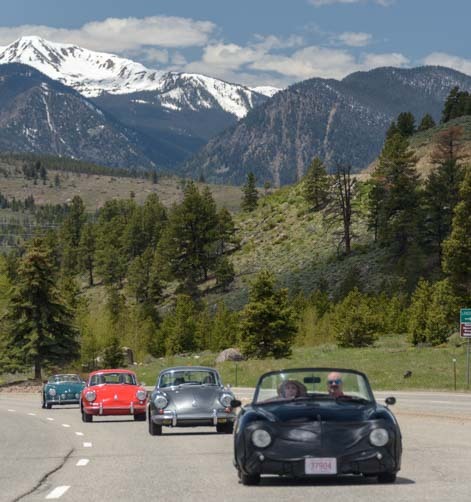 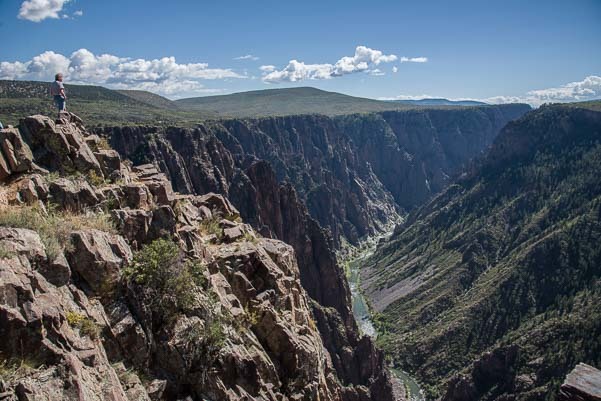 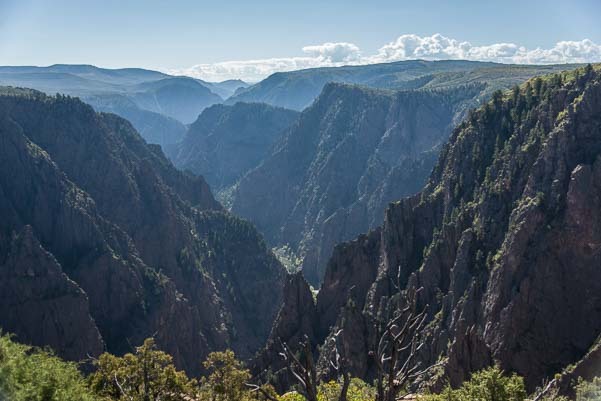 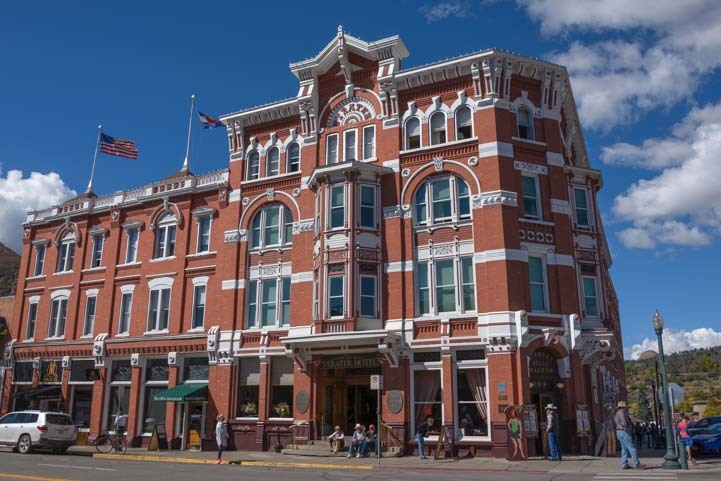 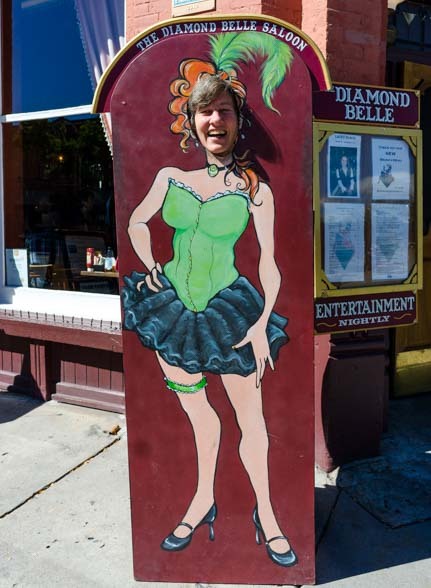 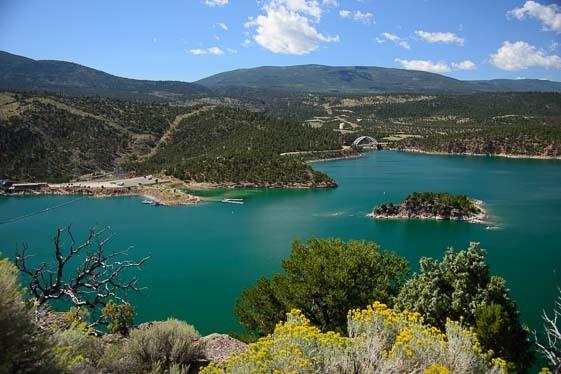 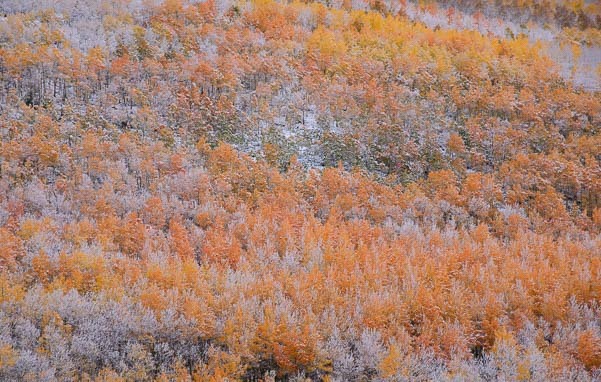 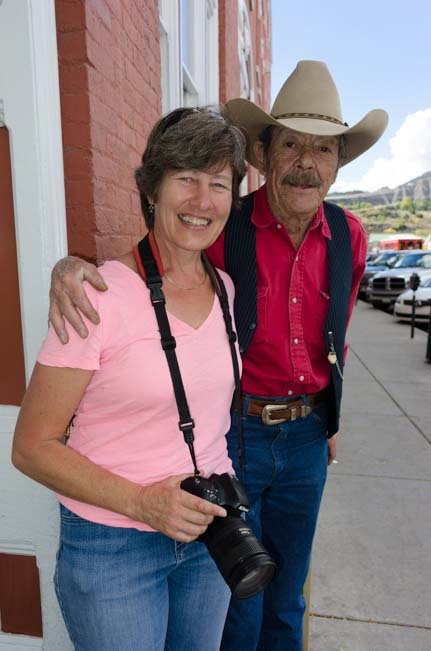 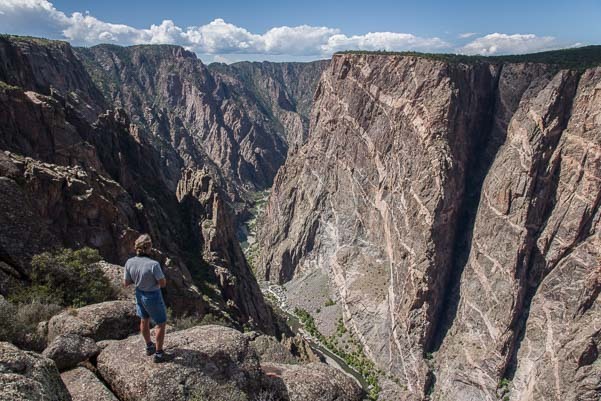 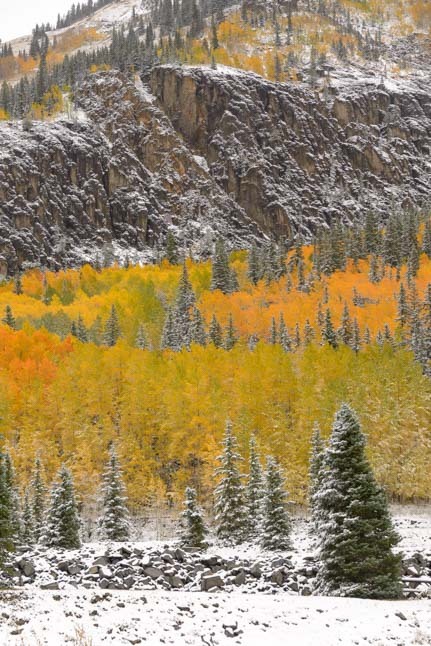 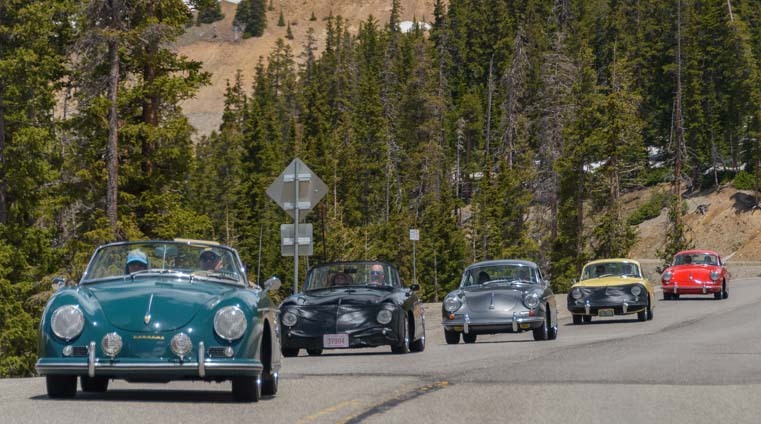 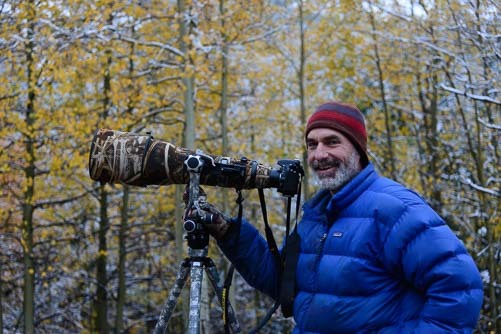 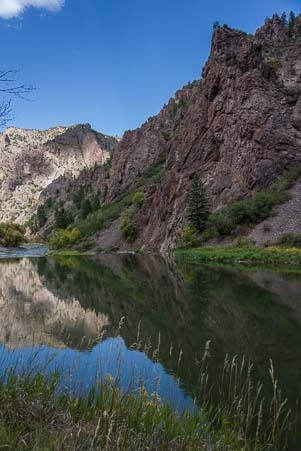 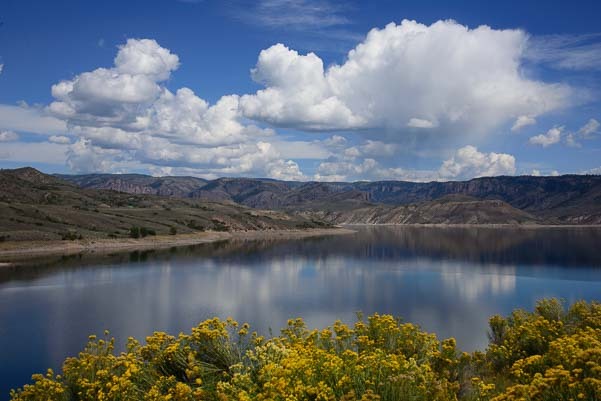 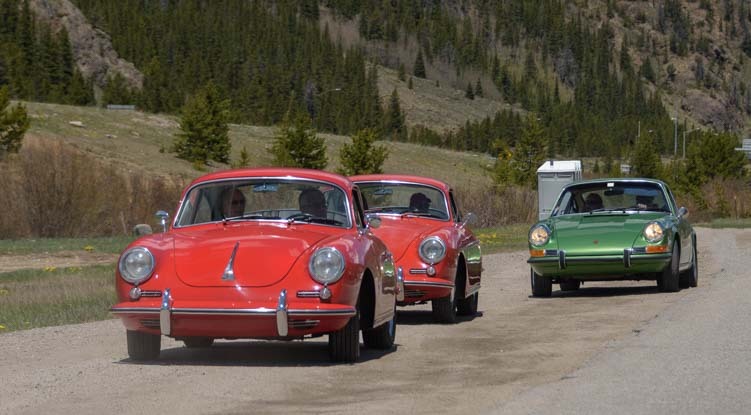 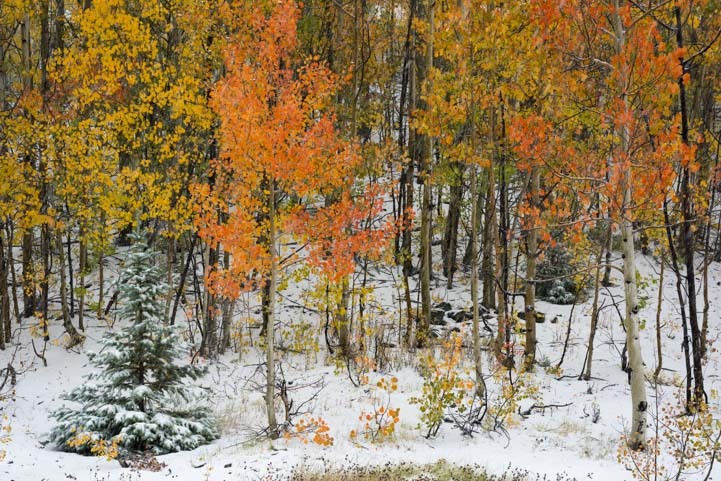 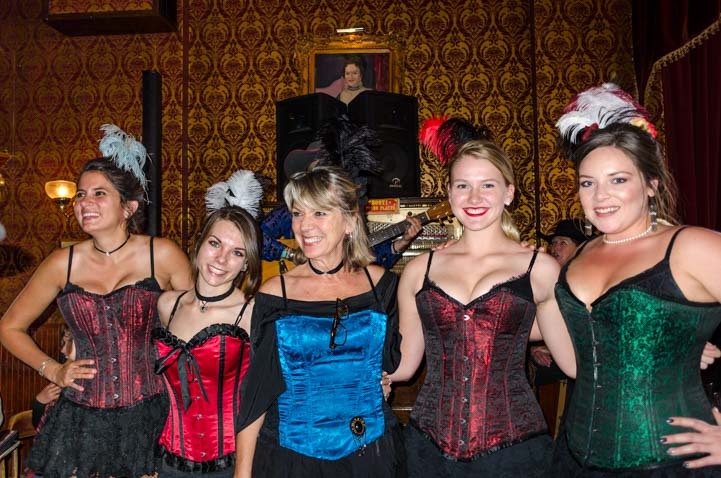 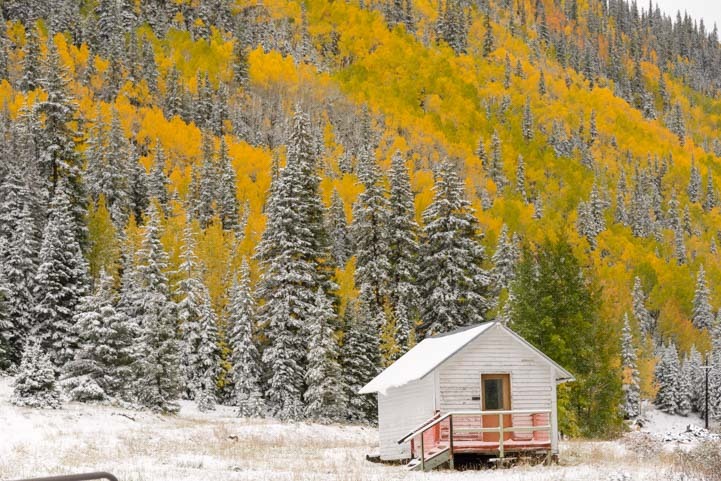 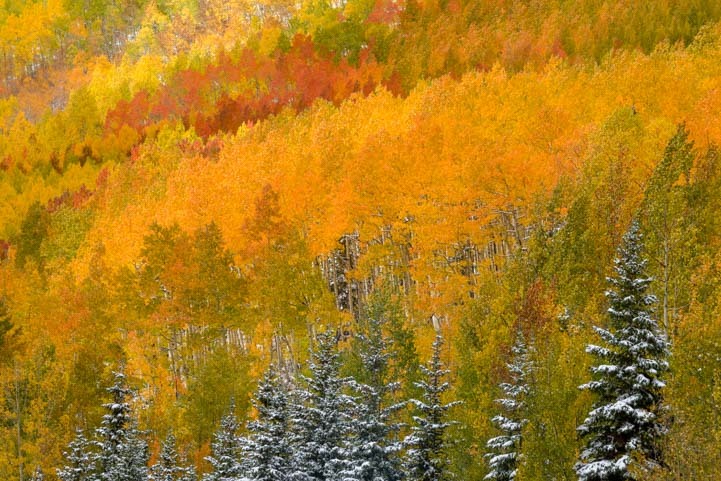 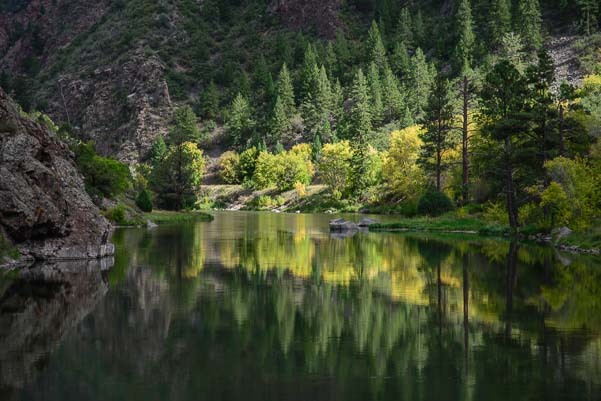 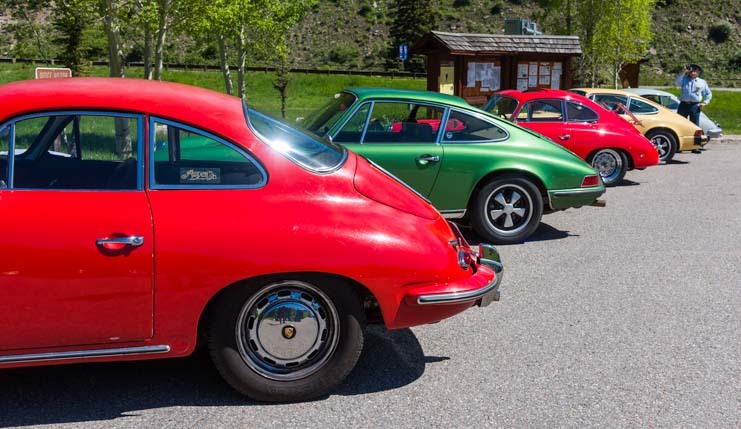 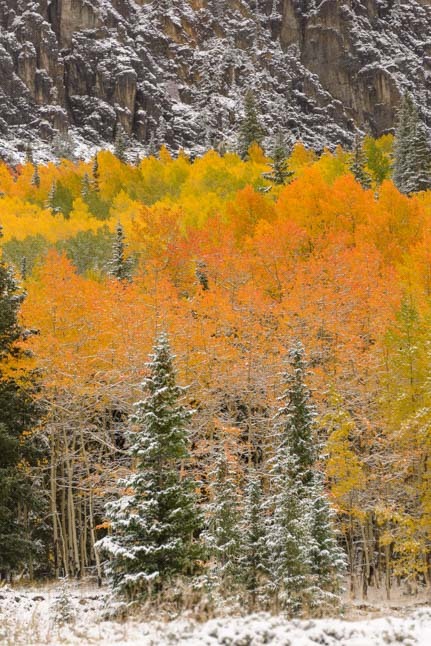 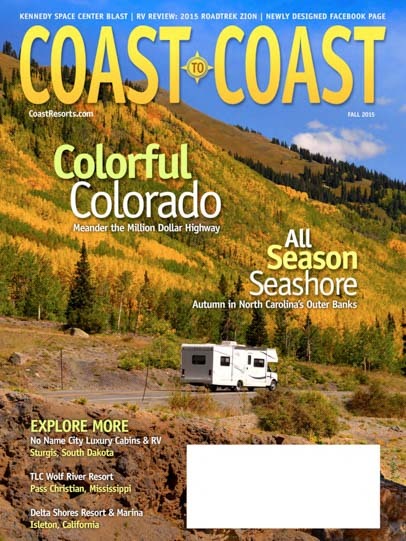 Coast to Coast Magazine Cover Photo & Feature – Colorful Colorado! 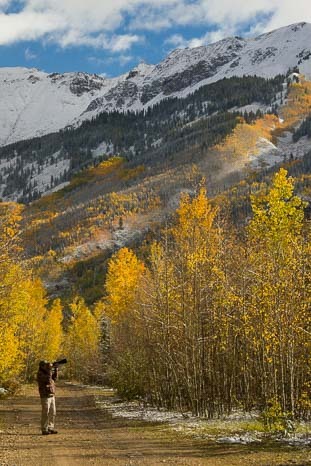 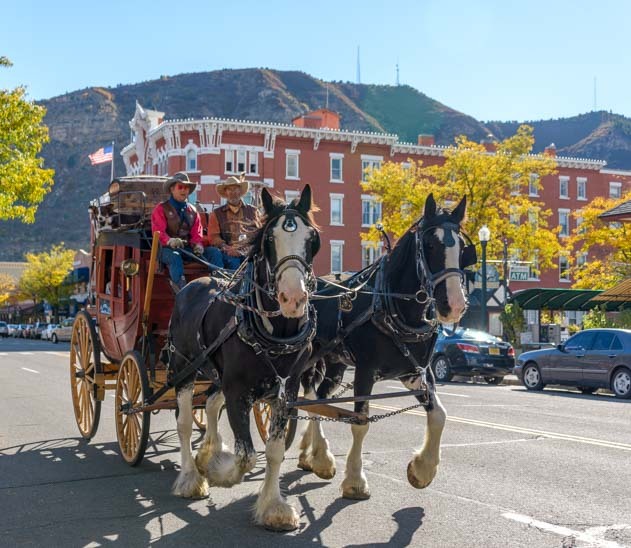 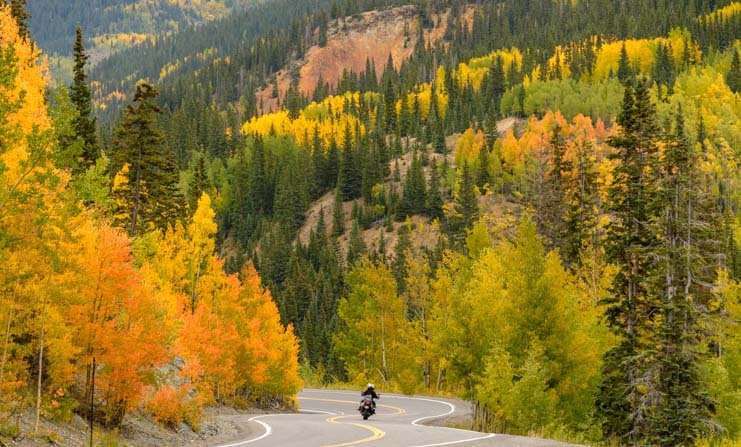 The Fall 2015 issue of Coast to Coast magazine is featuring our article called “Riding the Rockies in Colorful Colorado” about the spectacular fall foliage in Colorado’s Rocky Mountains. 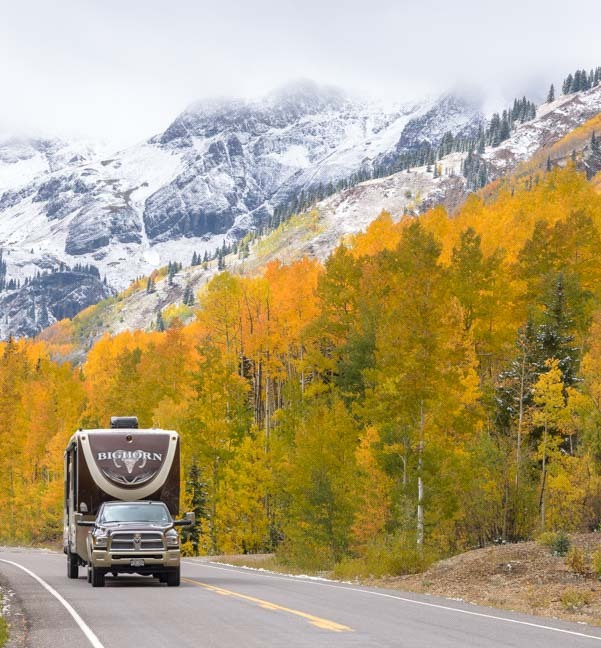 Autumn colors are gorgeous everywhere, but we have been absolutely smitten by the golden hues that blanket Colorado’s San Juan mountains in late September. 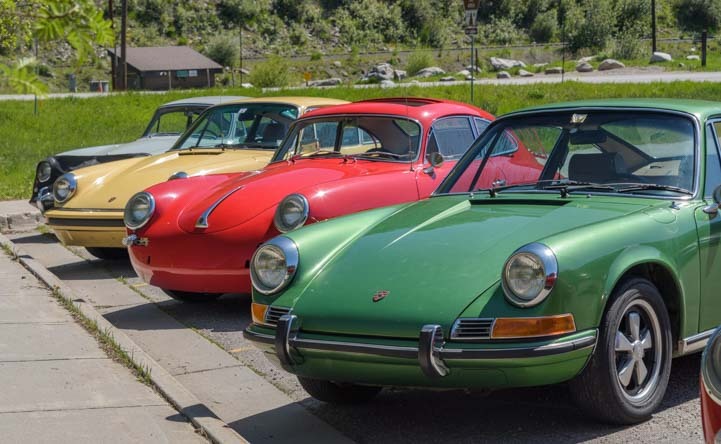 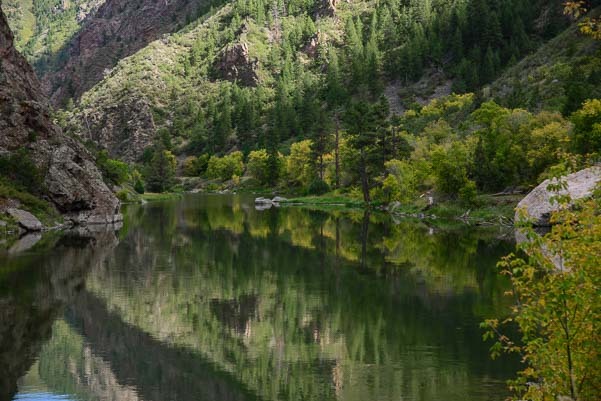 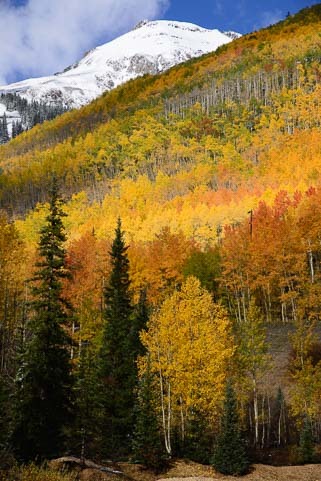 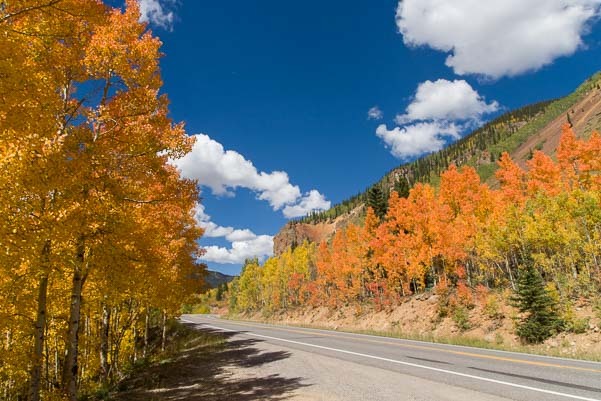 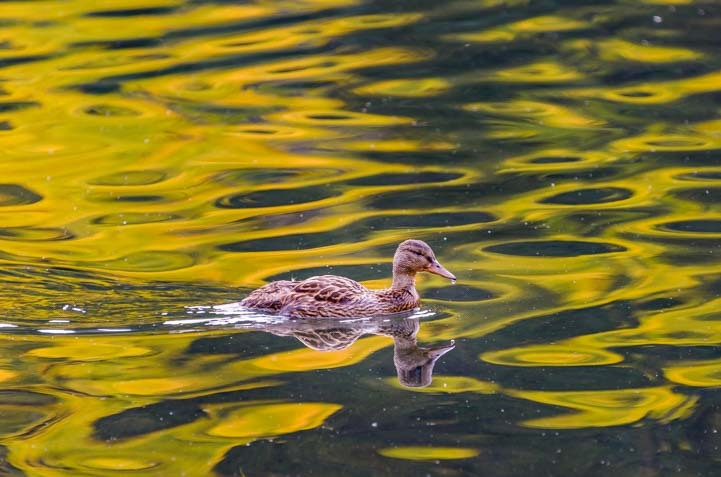 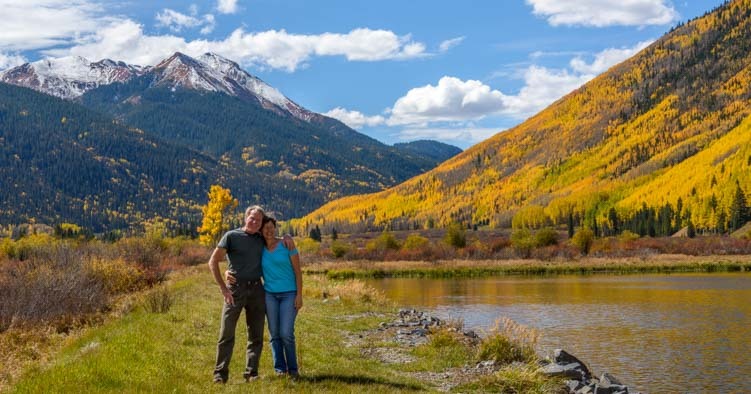 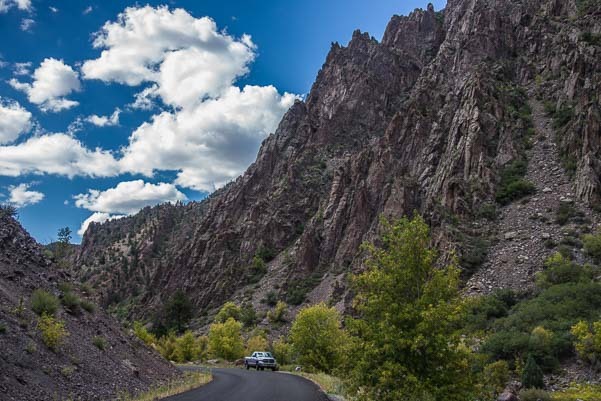 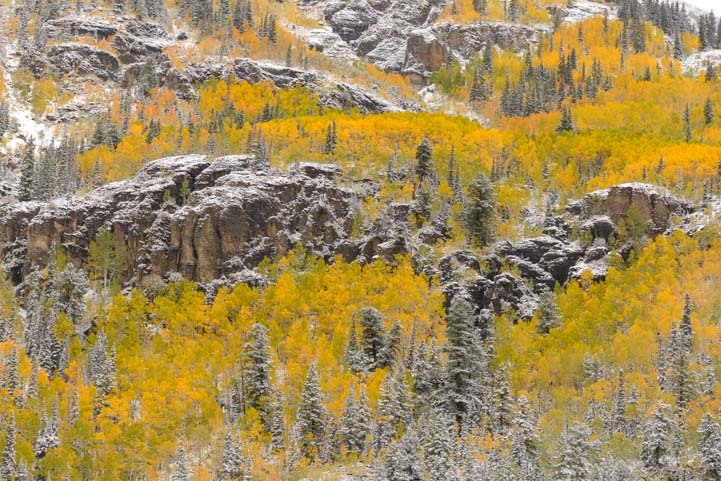 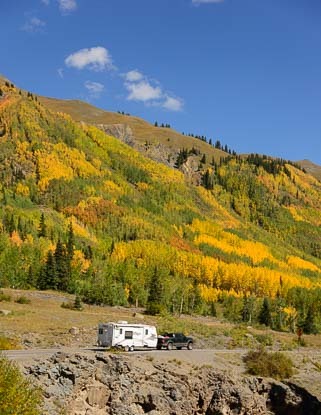 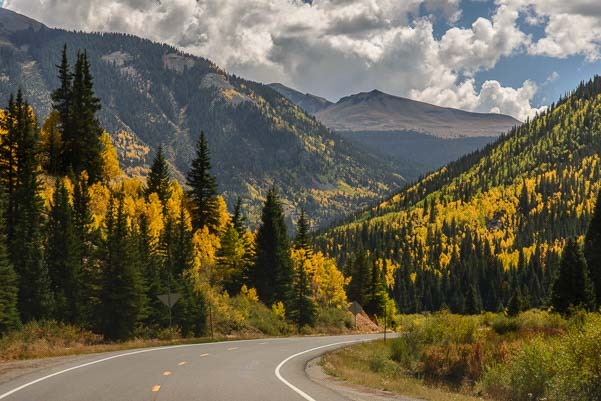 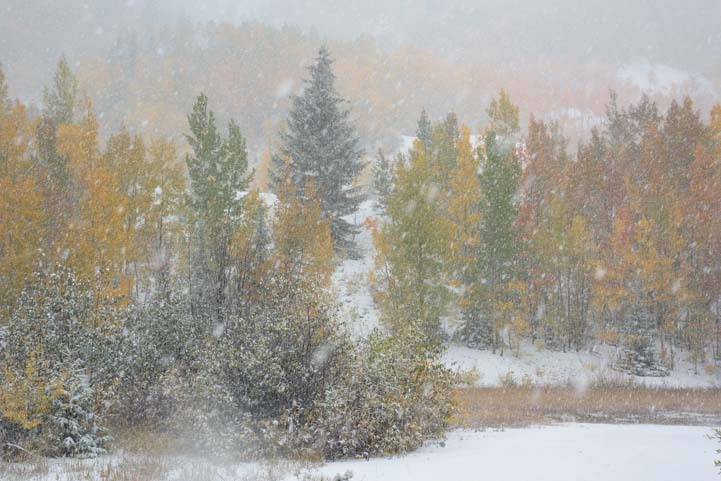 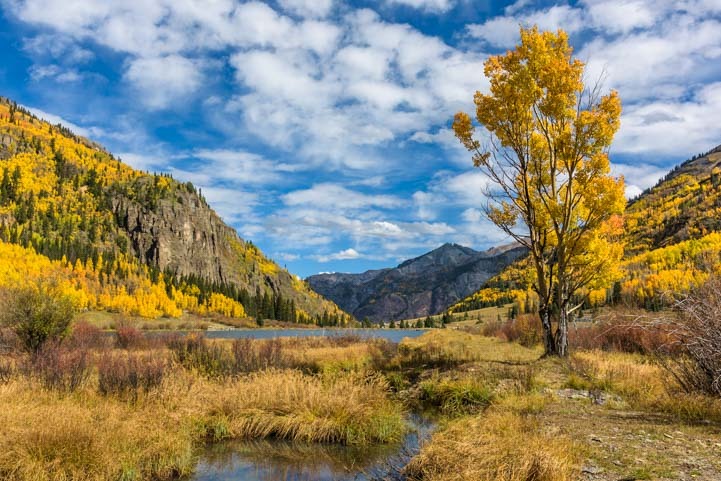 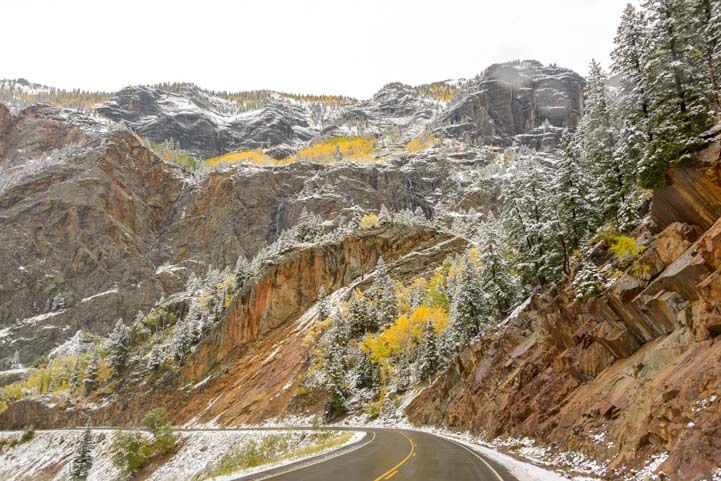 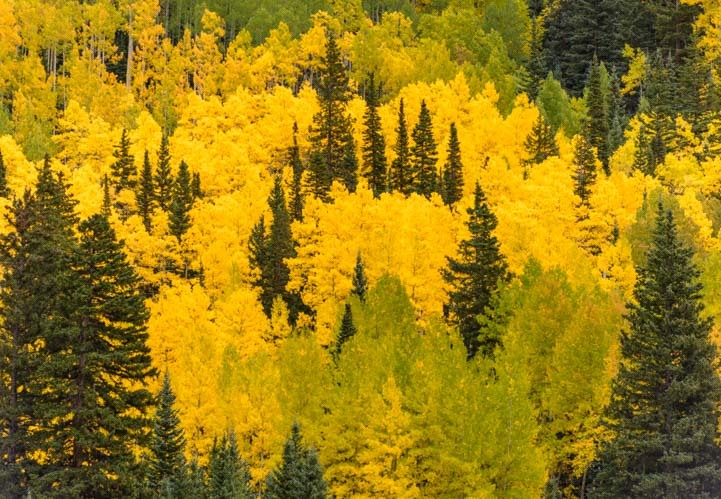 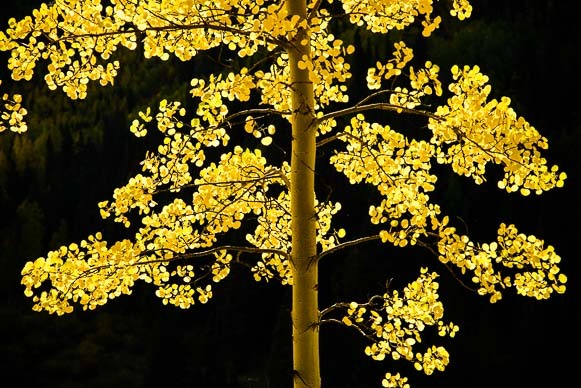 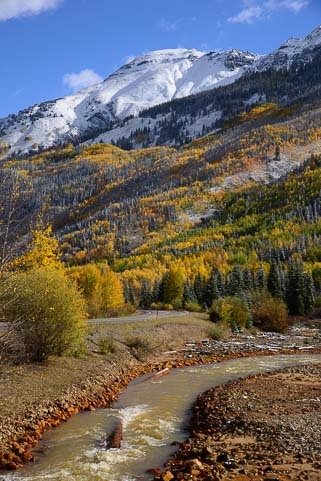 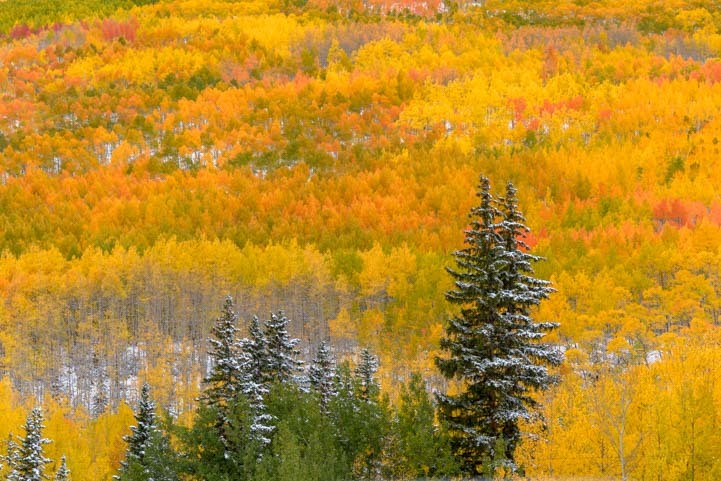 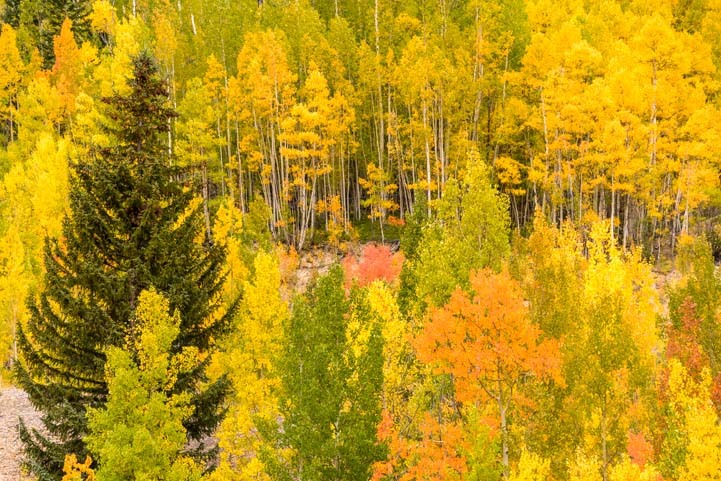 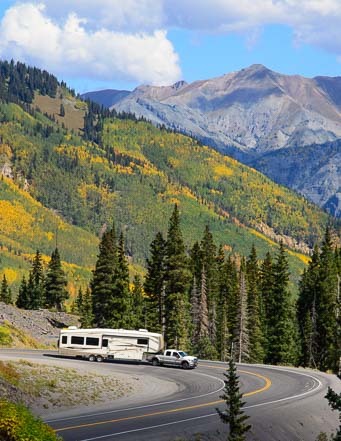 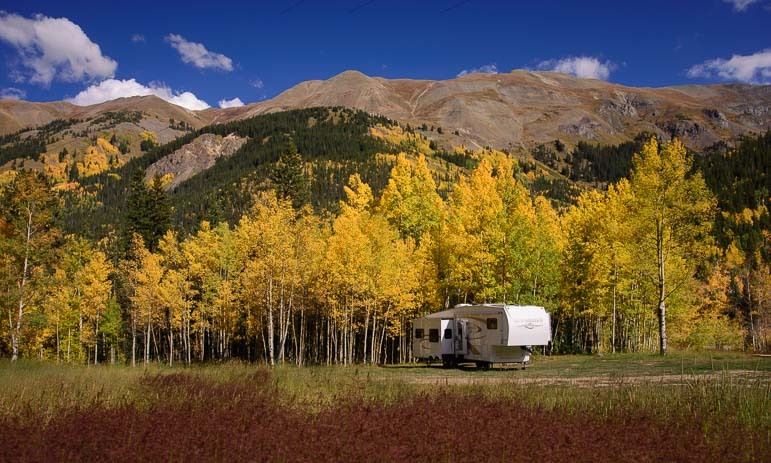 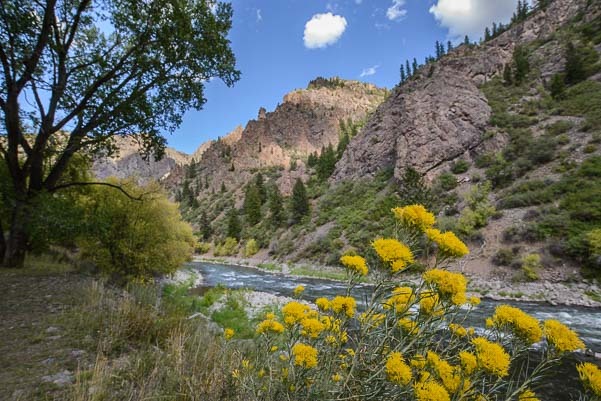 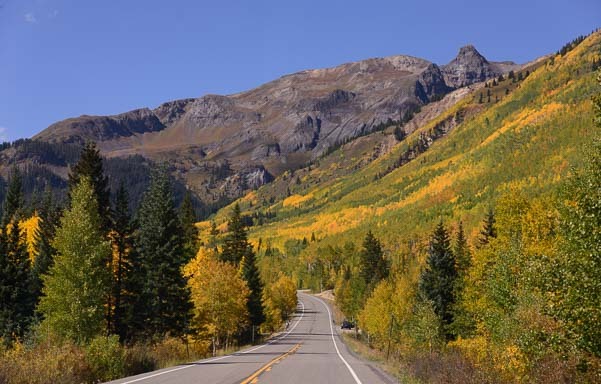 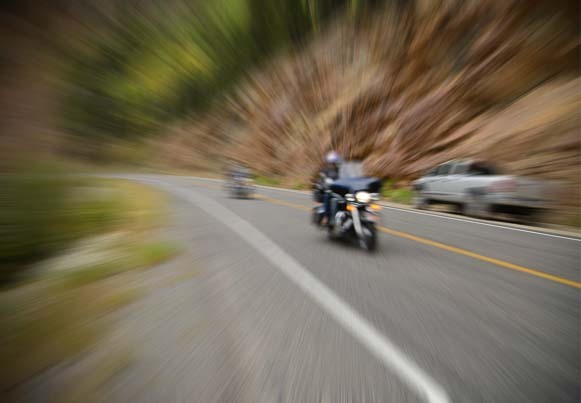 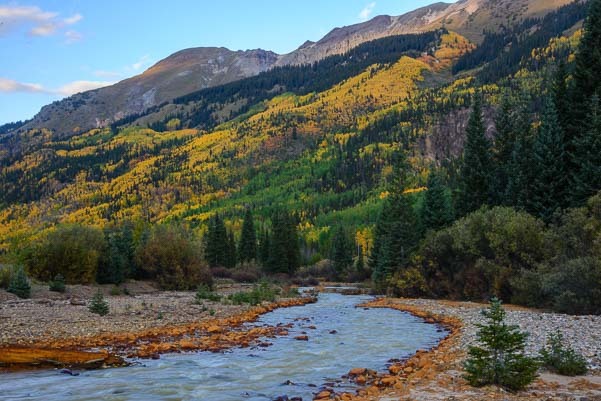 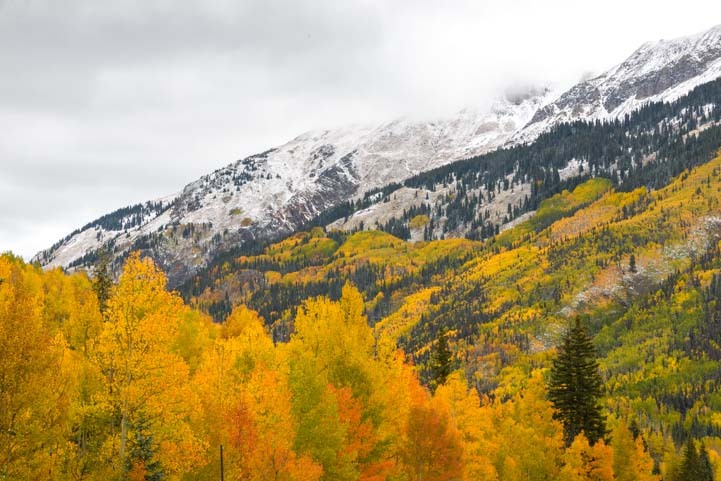 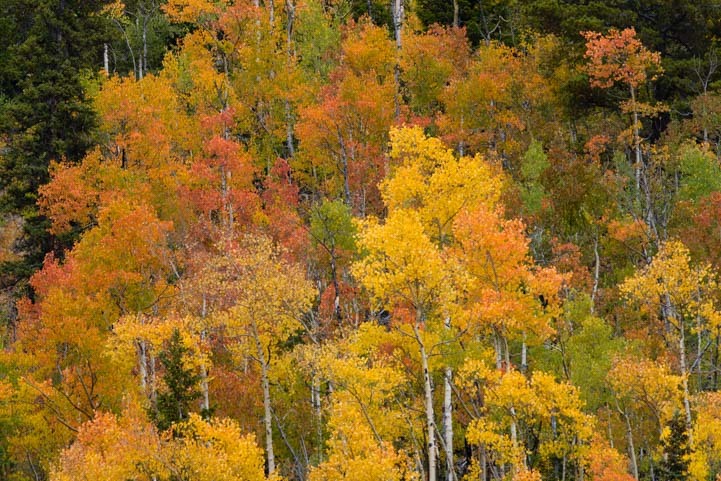 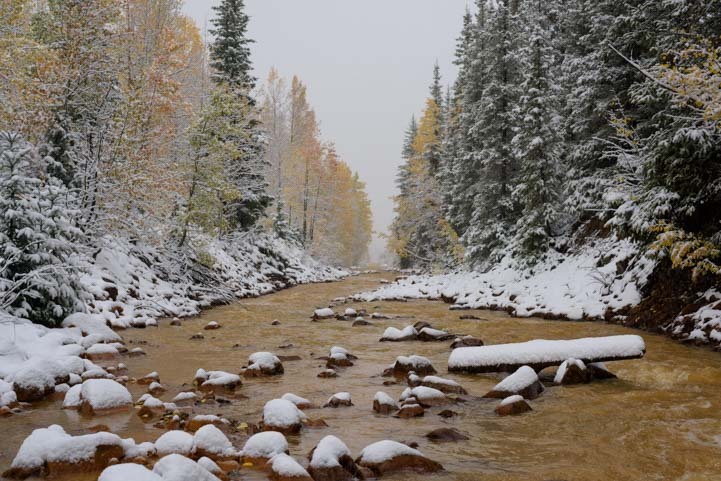 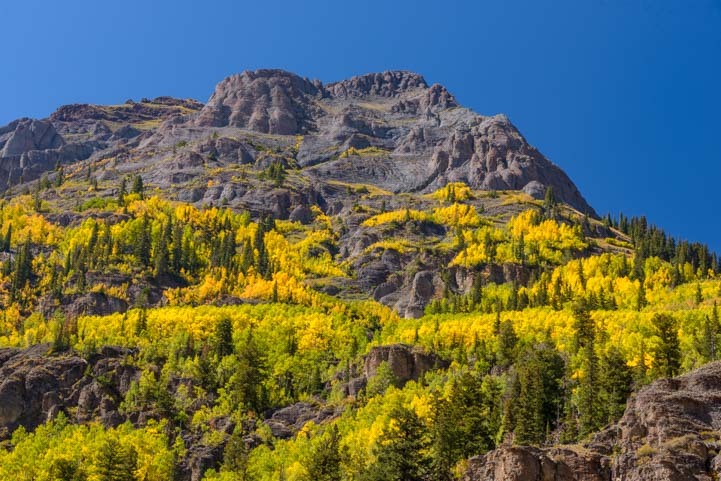 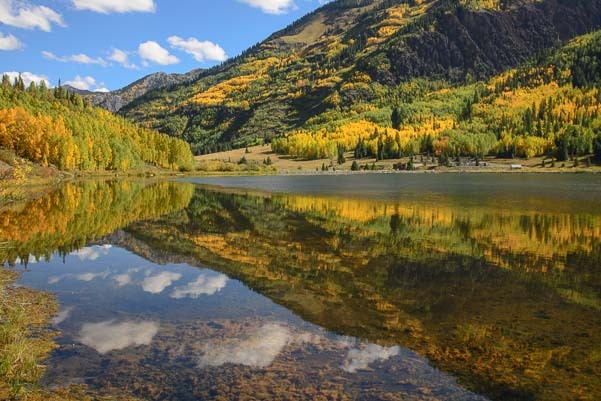 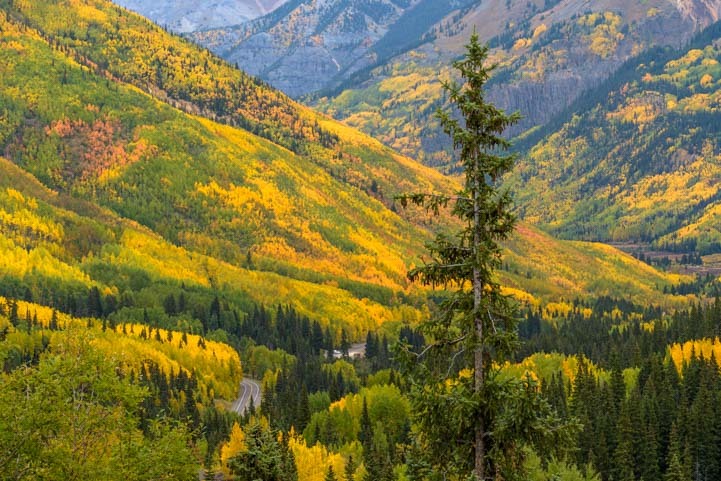 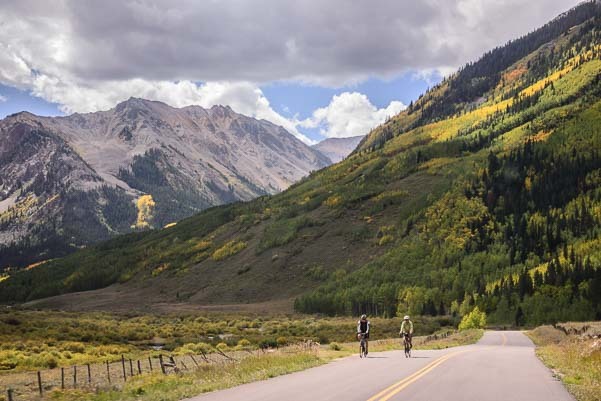 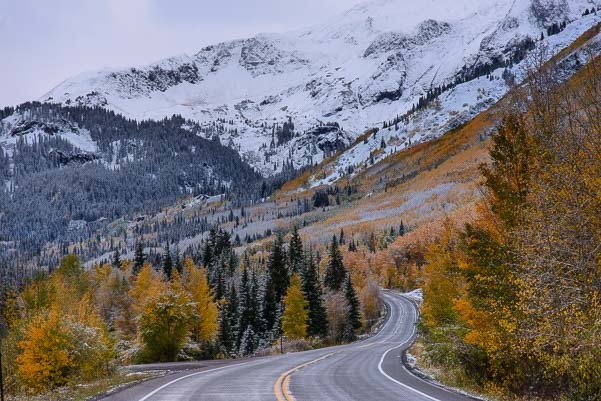 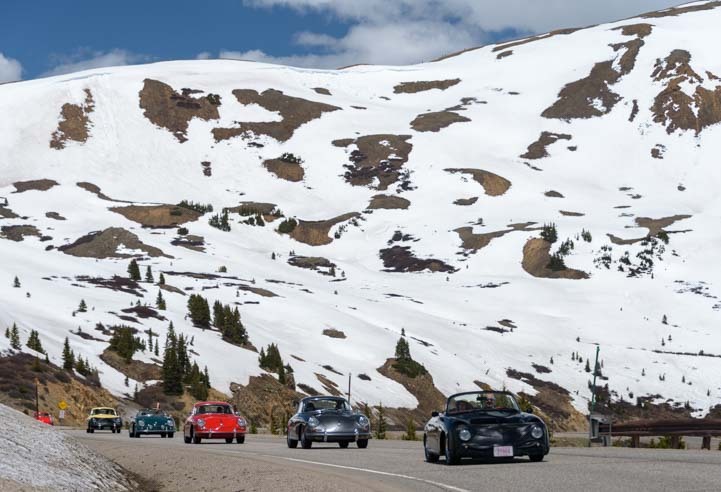 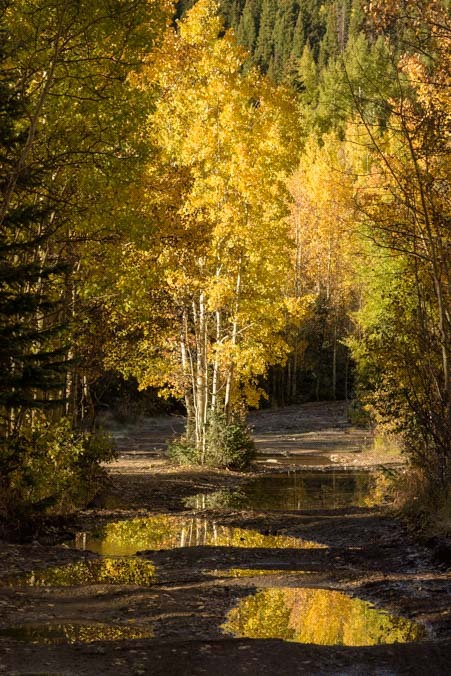 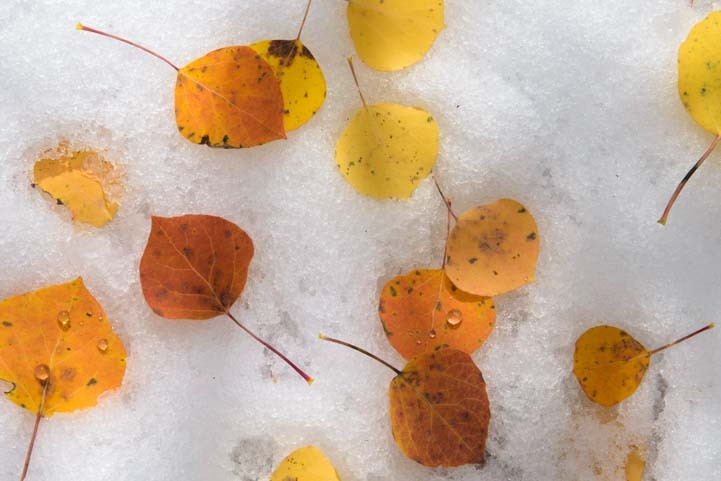 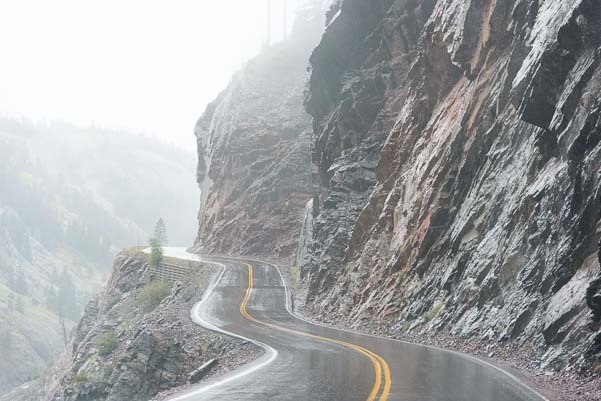 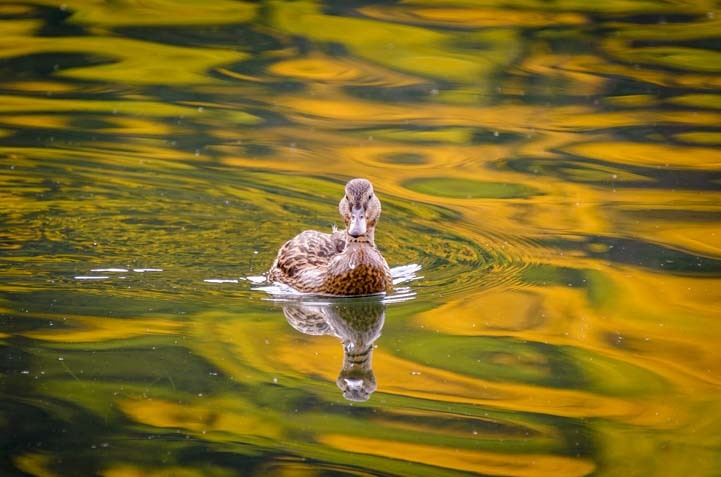 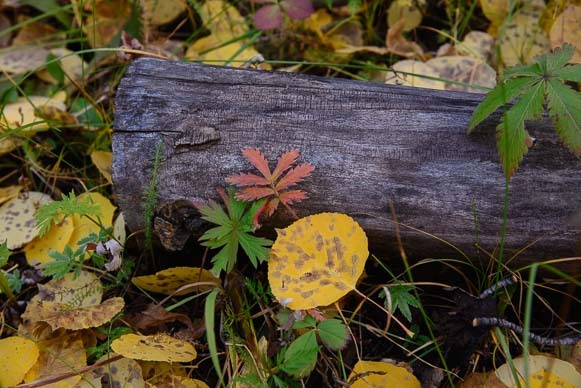 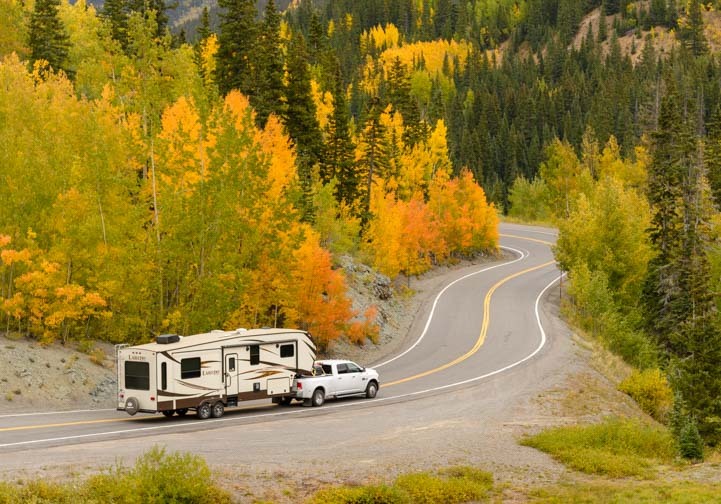 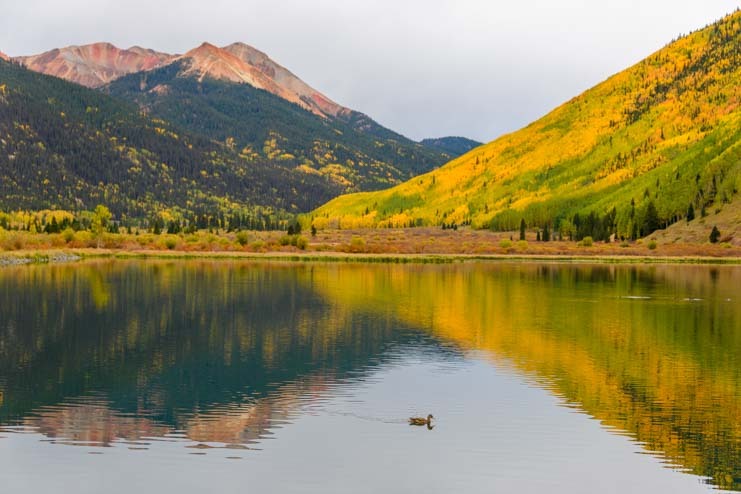 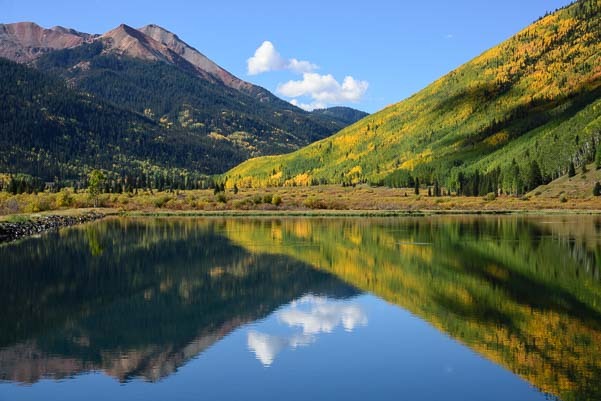 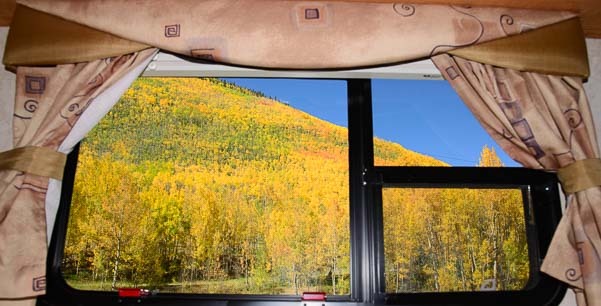 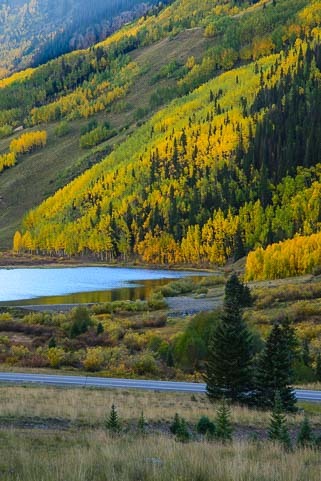 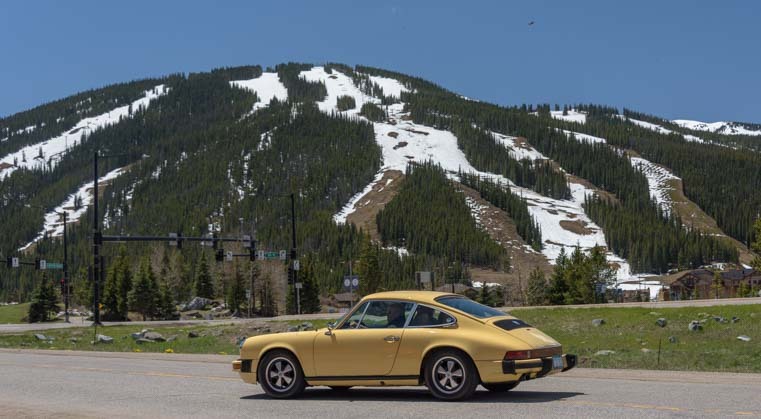 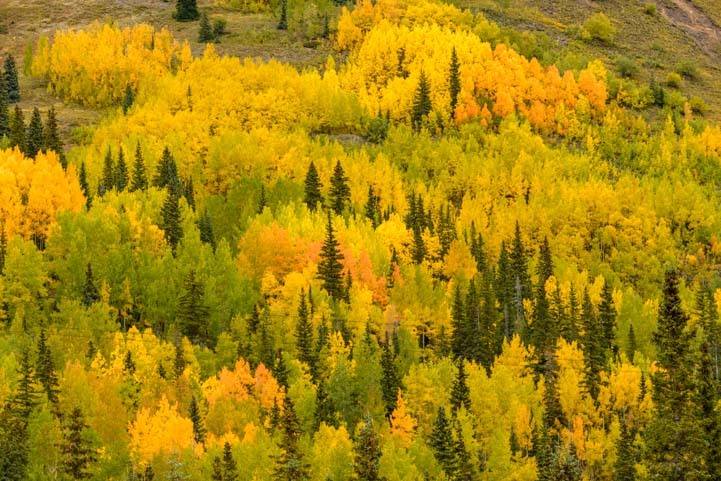 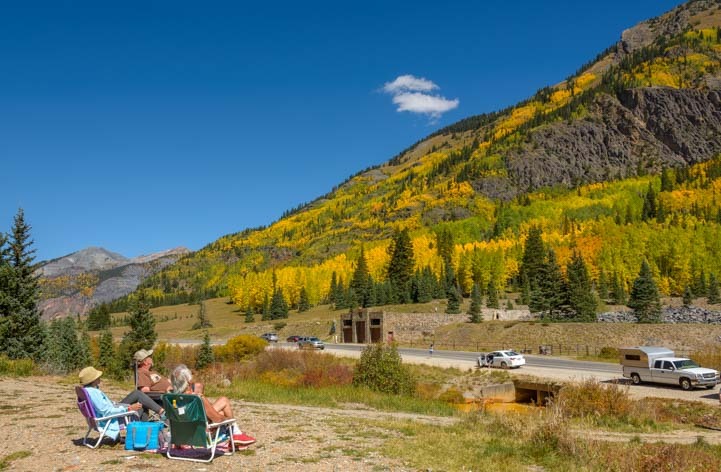 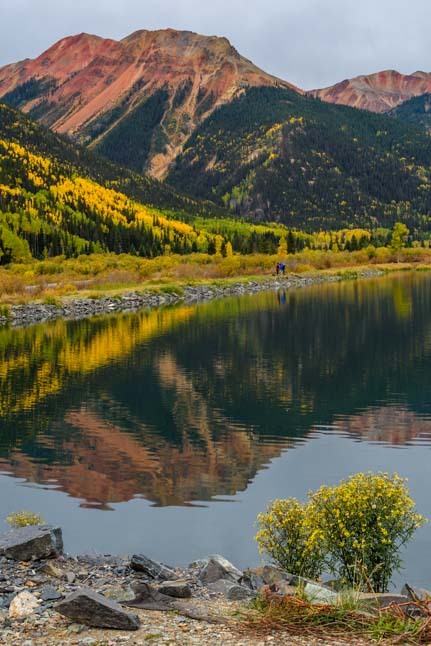 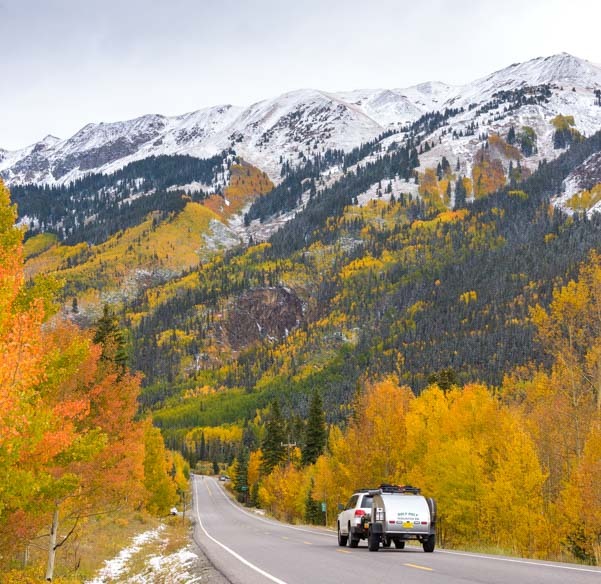 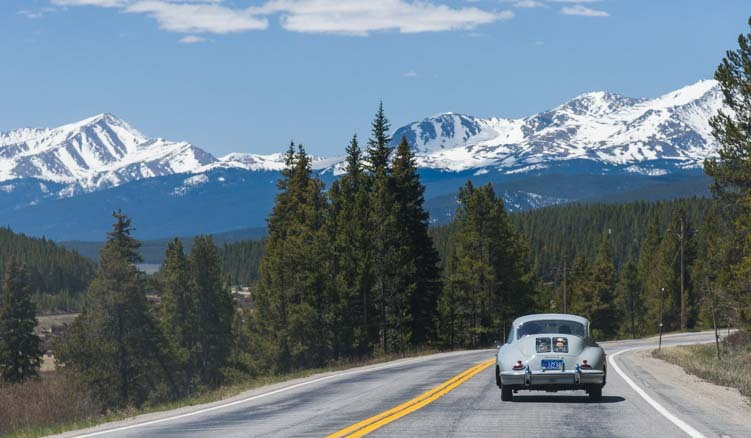 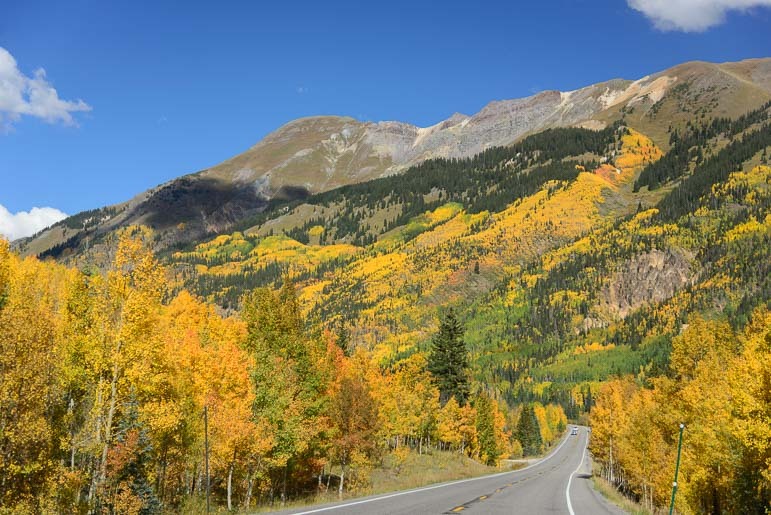 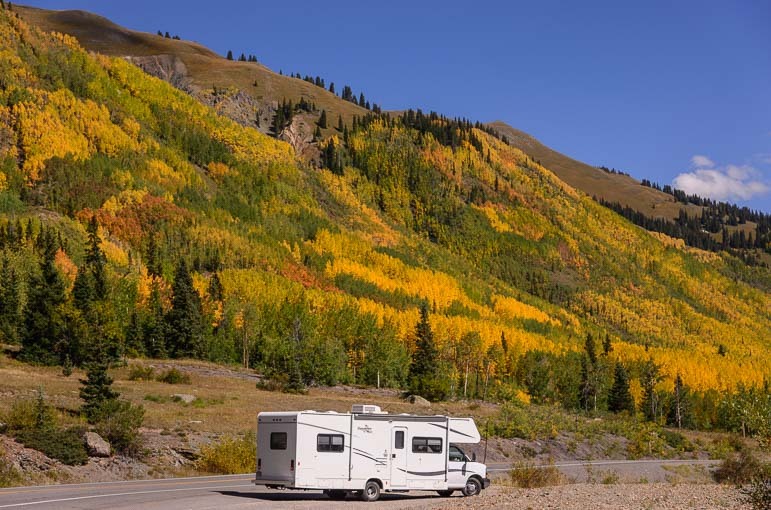 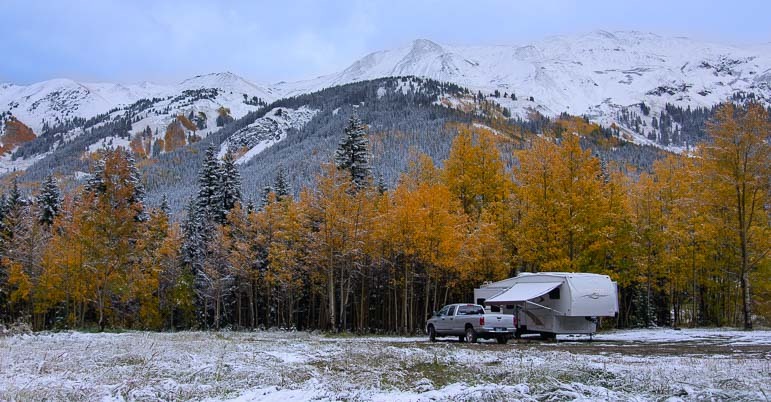 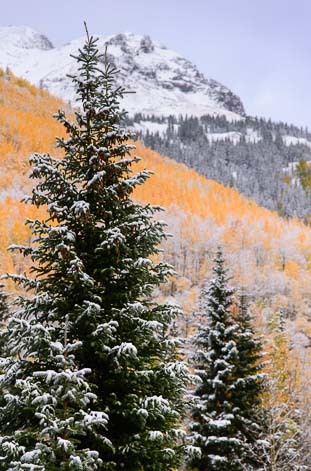 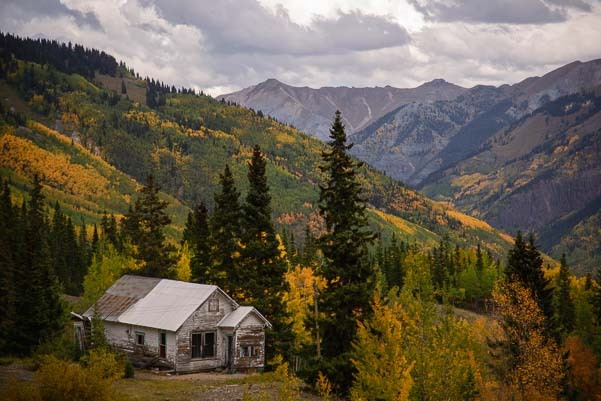 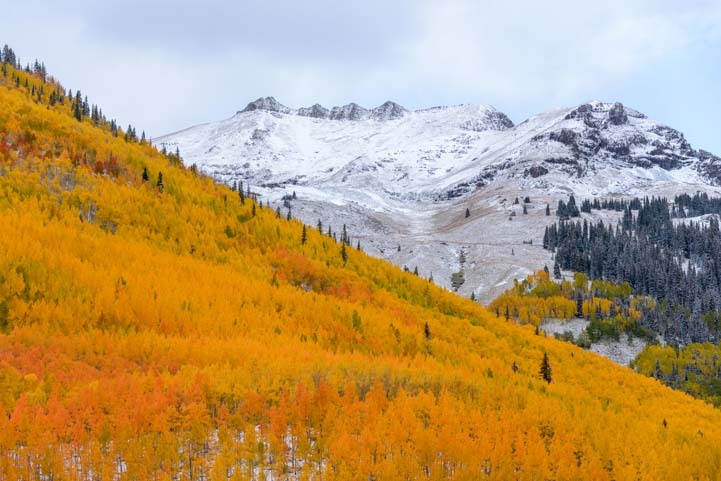 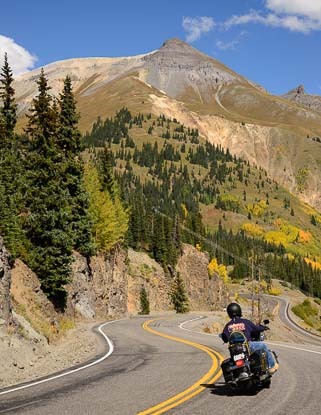 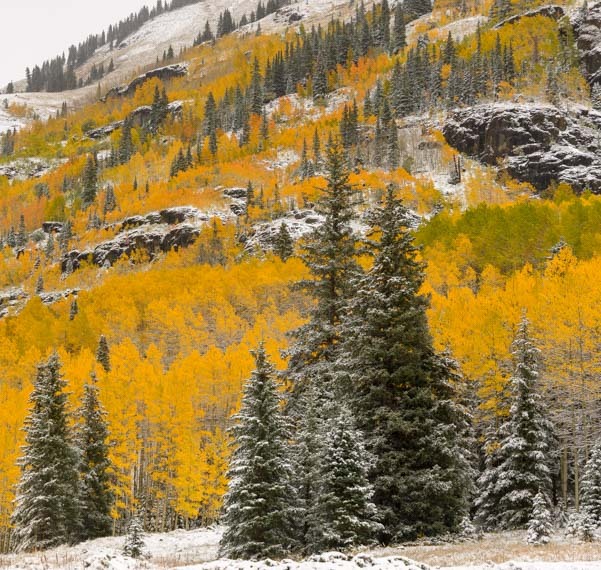 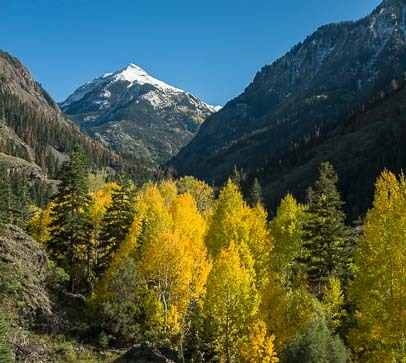 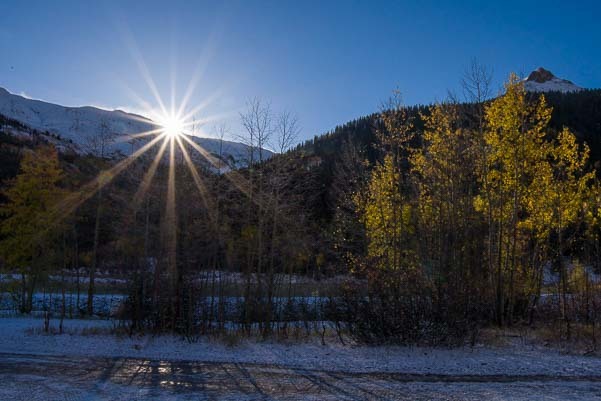 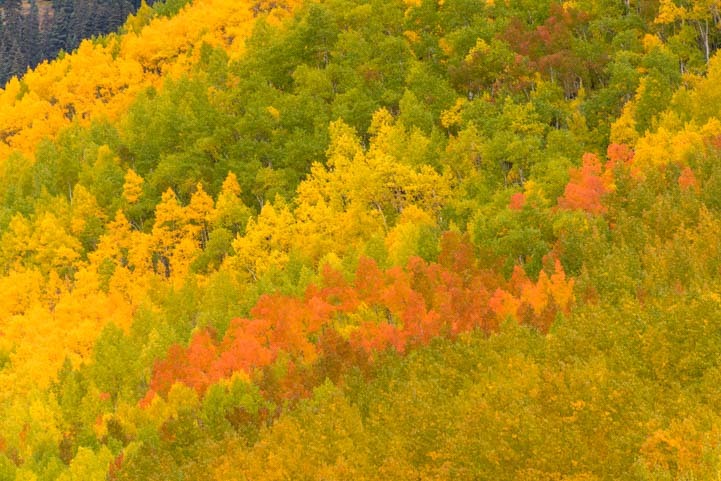 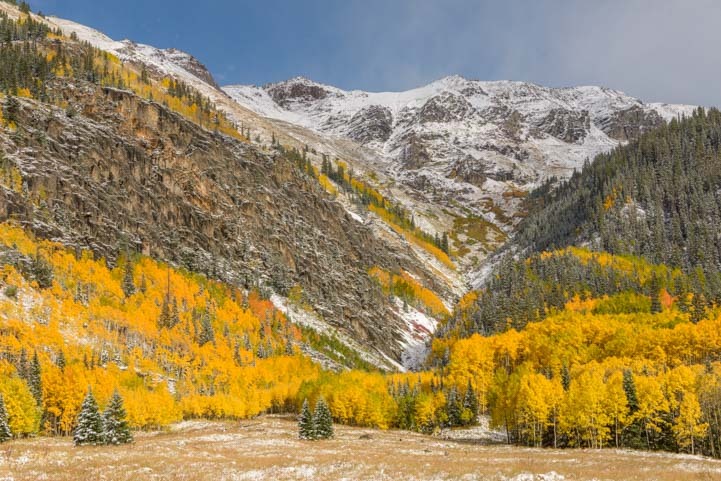 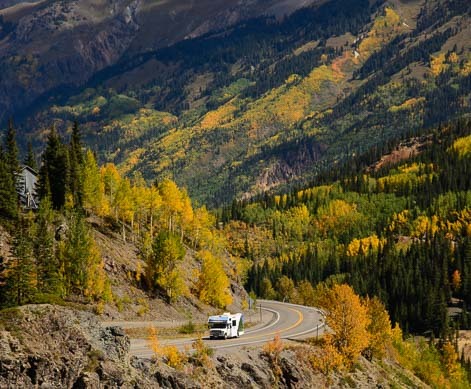 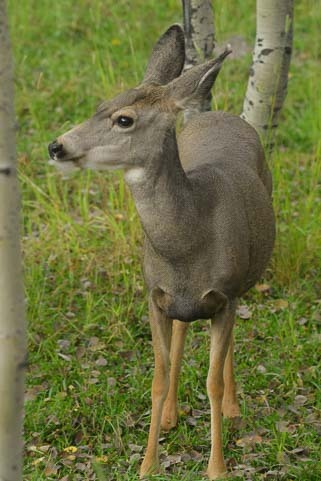 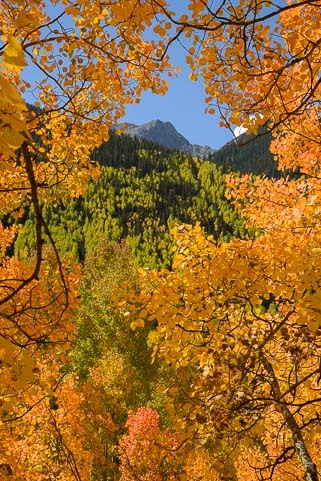 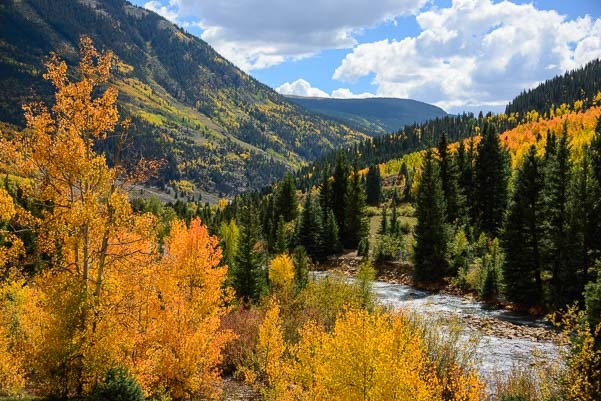 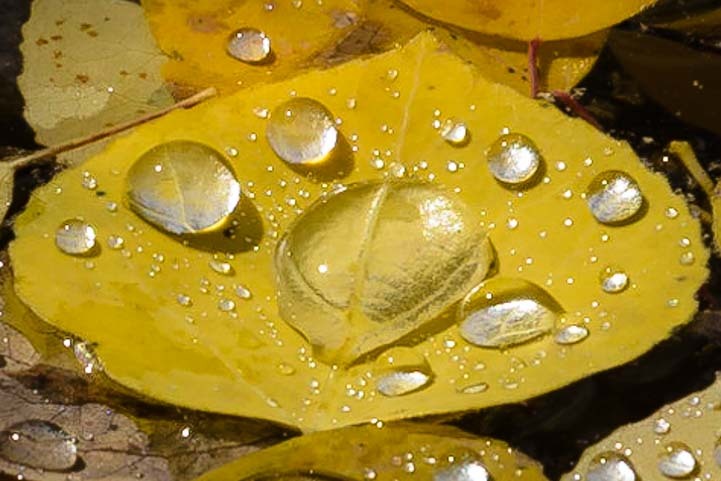 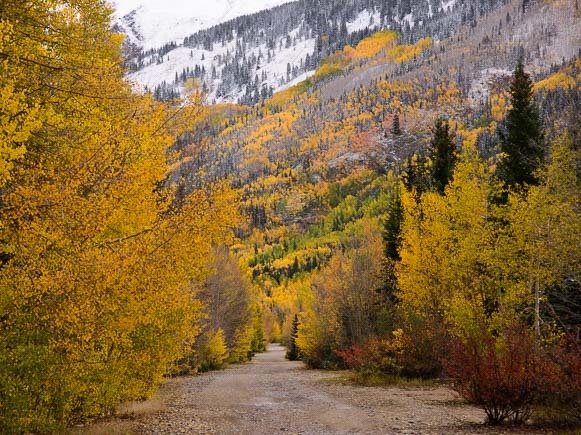 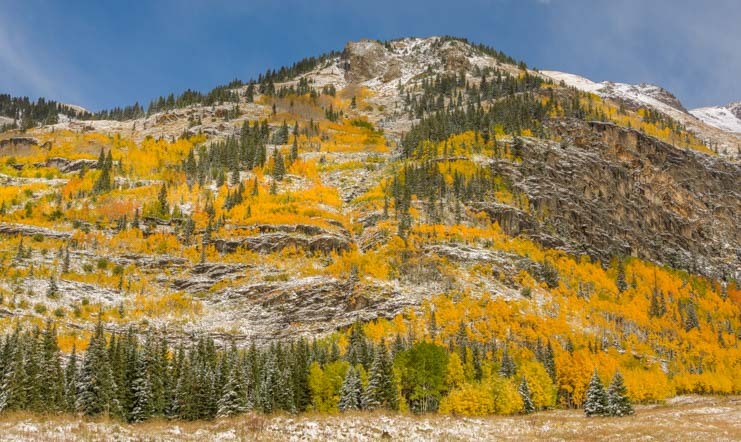 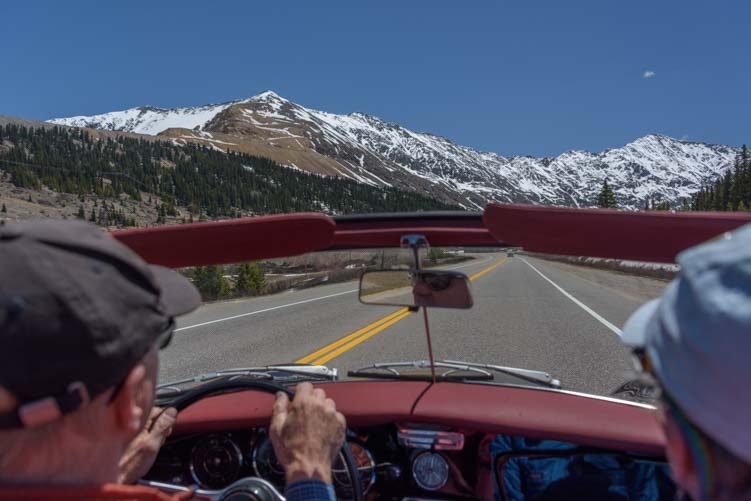 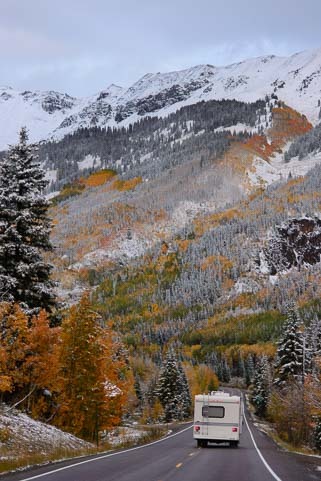 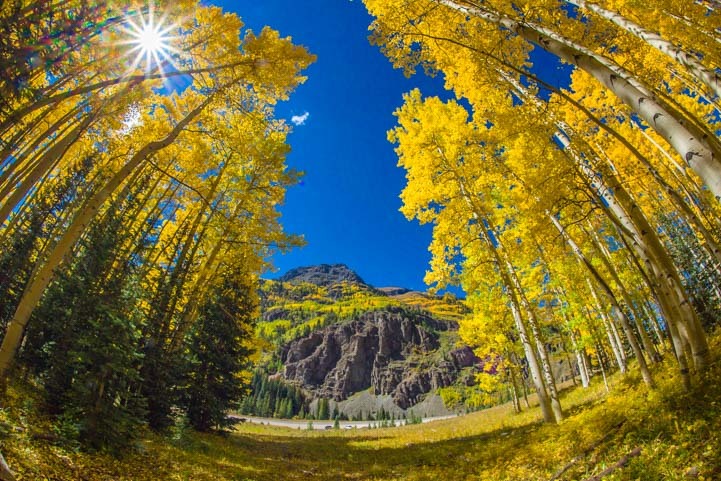 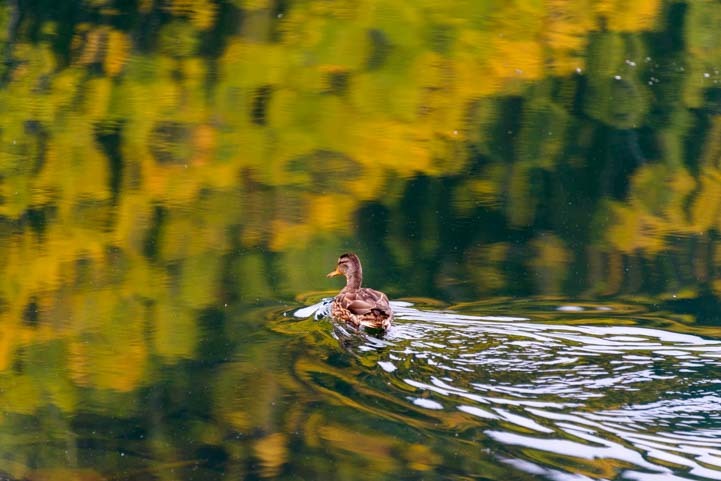 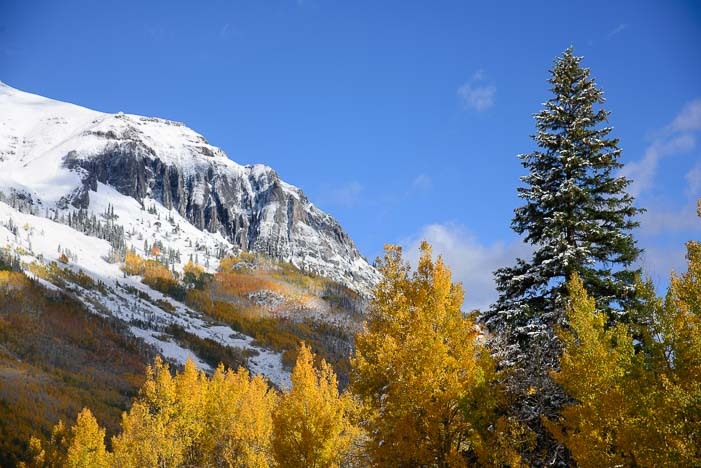 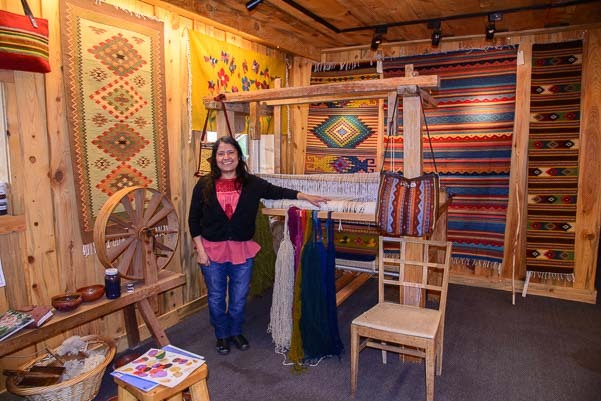 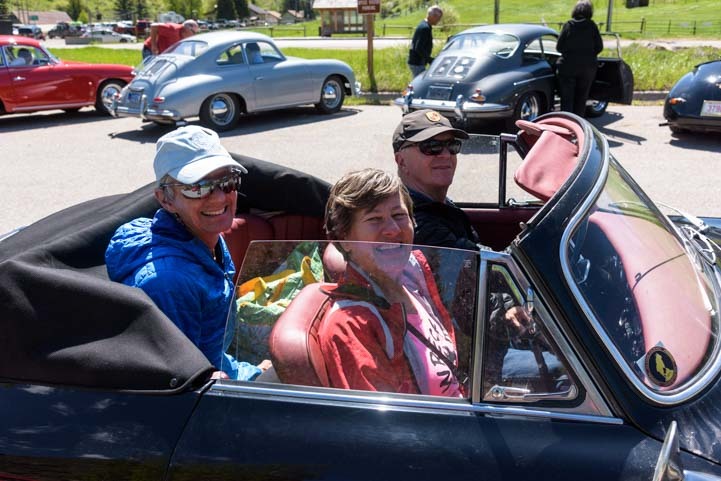 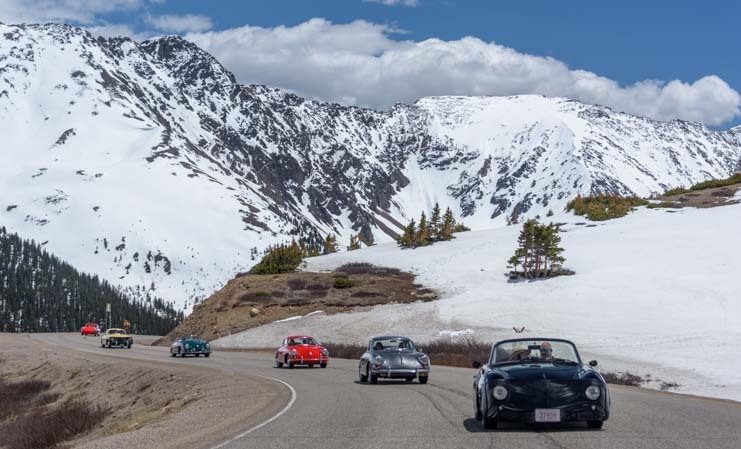 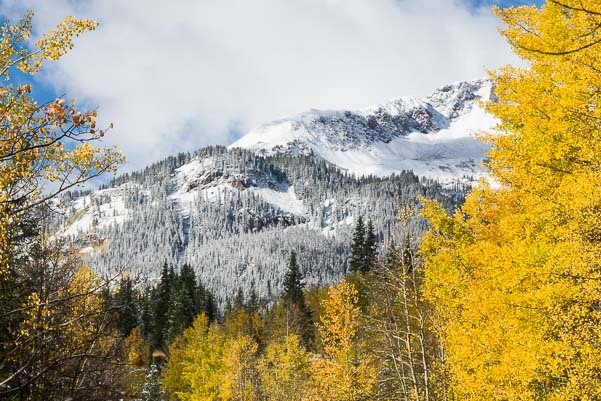 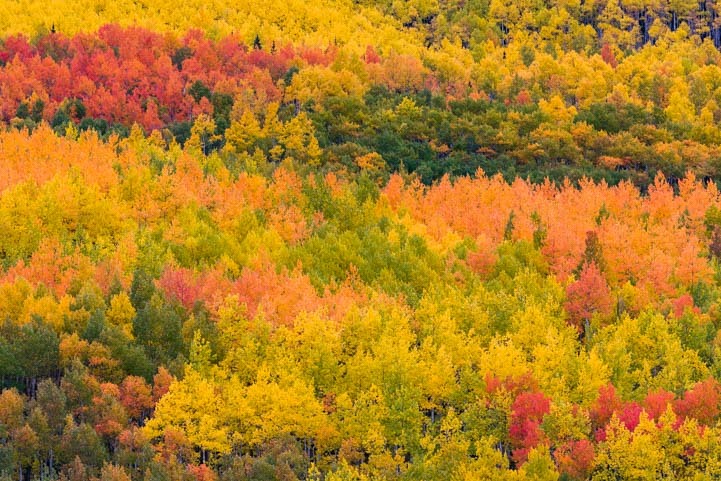 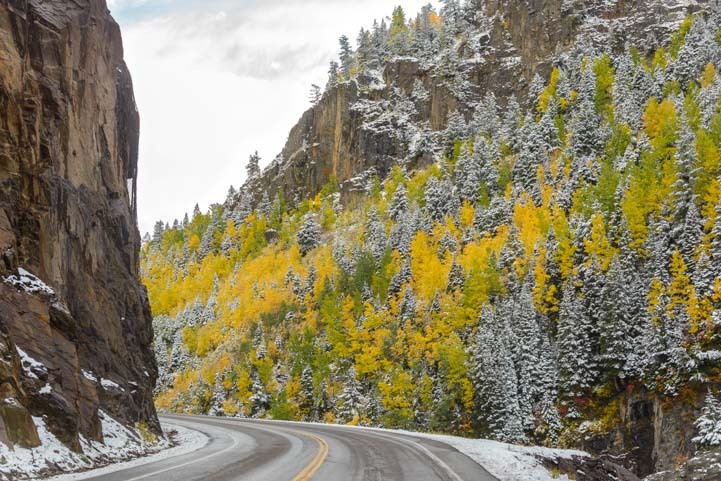 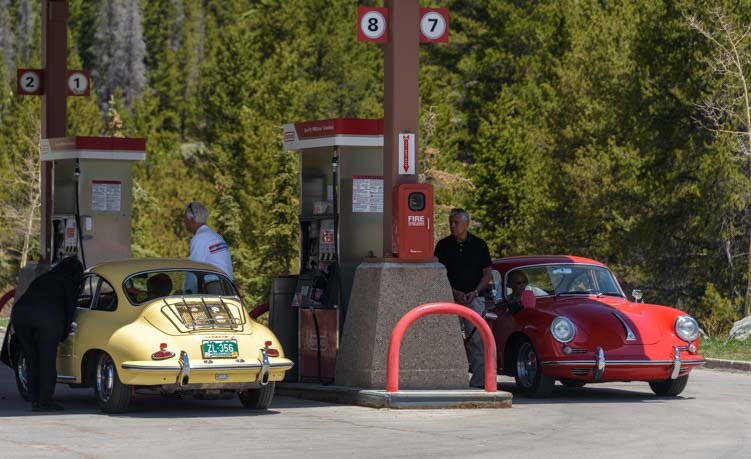 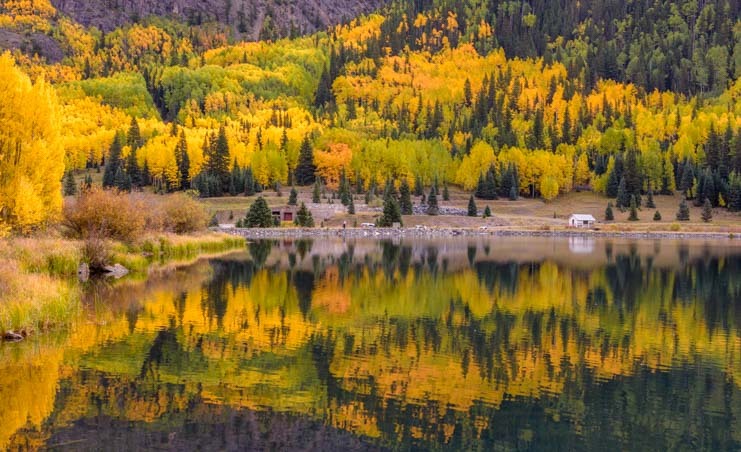 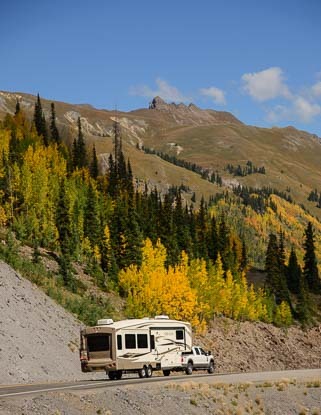 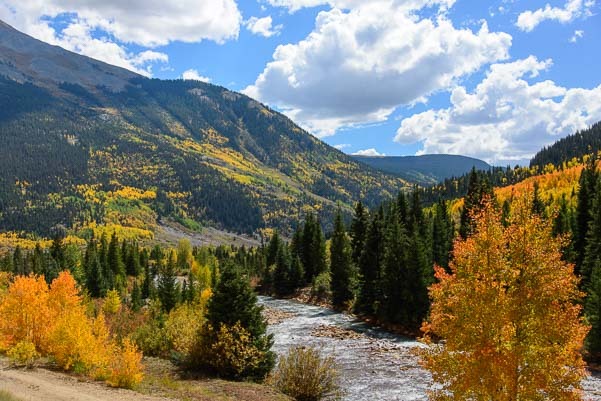 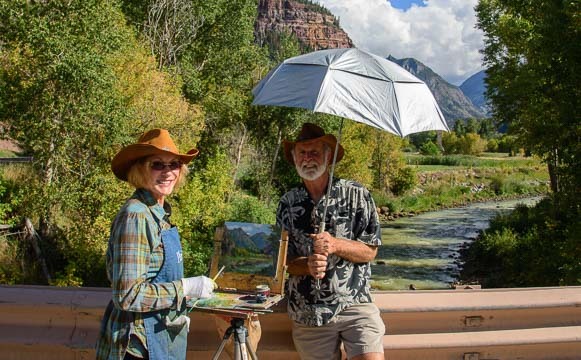 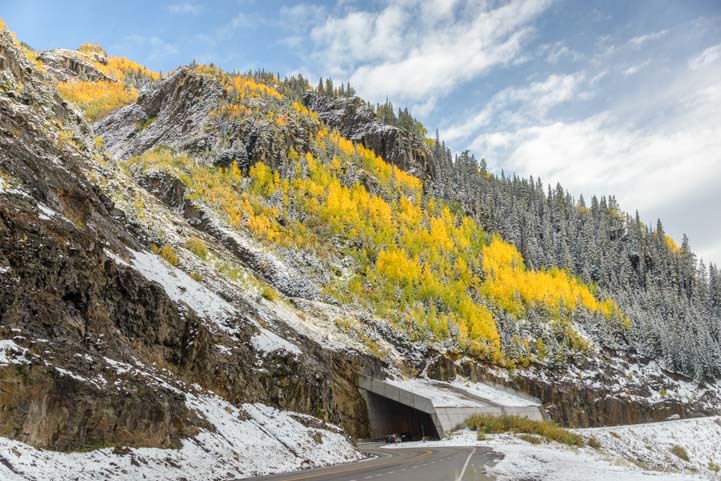 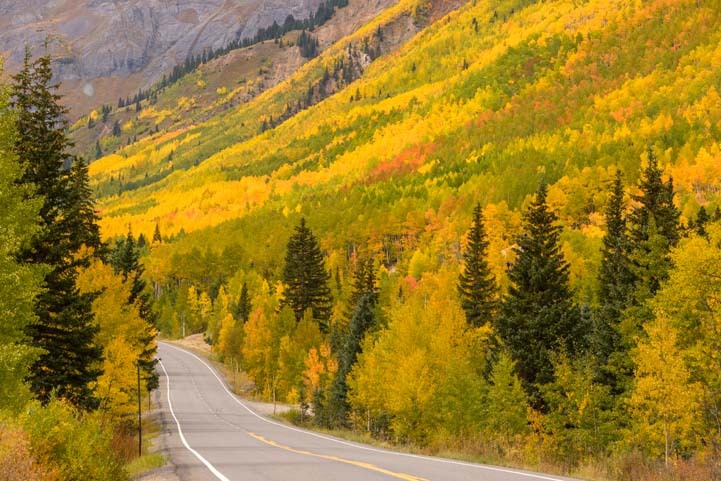 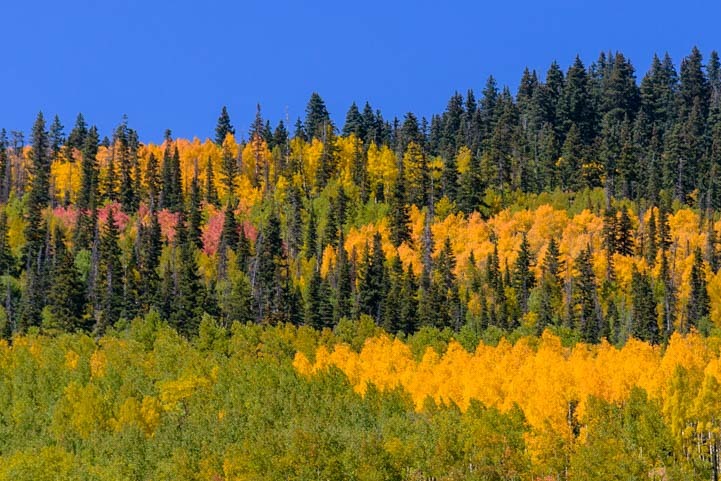 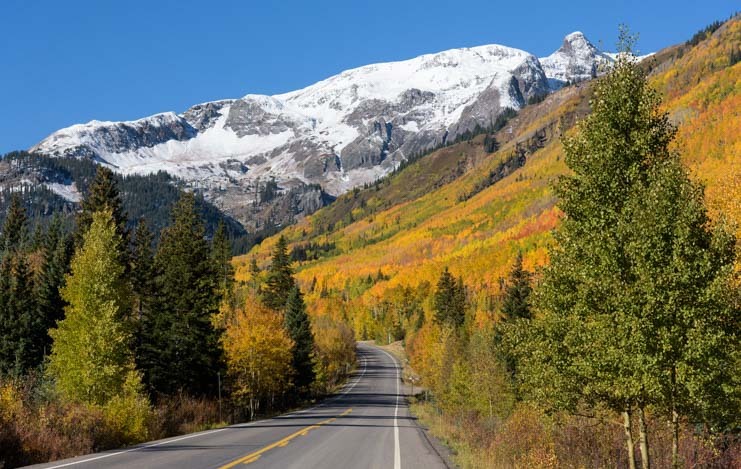 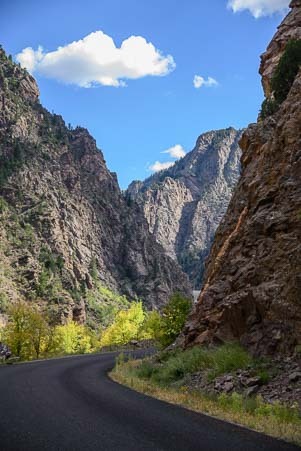 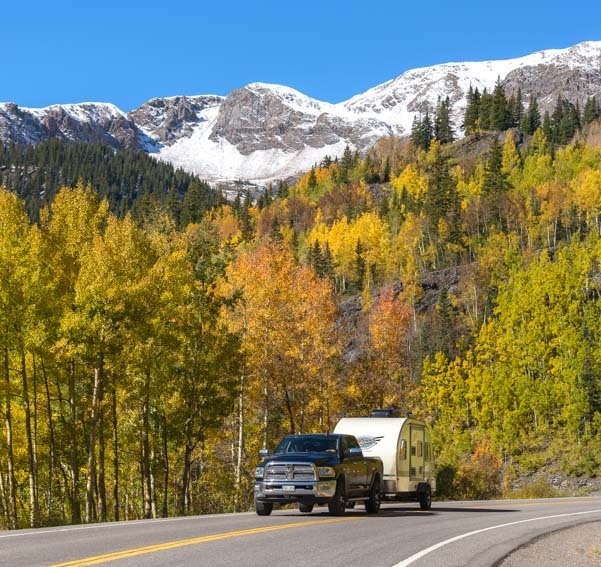 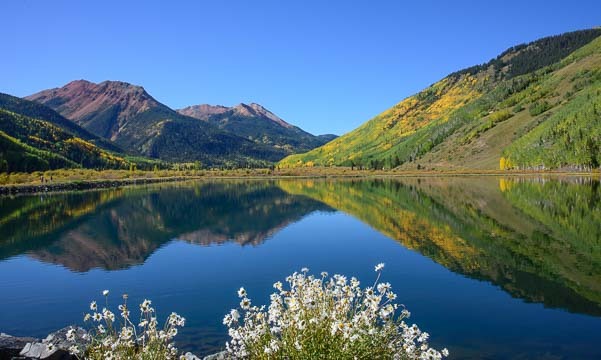 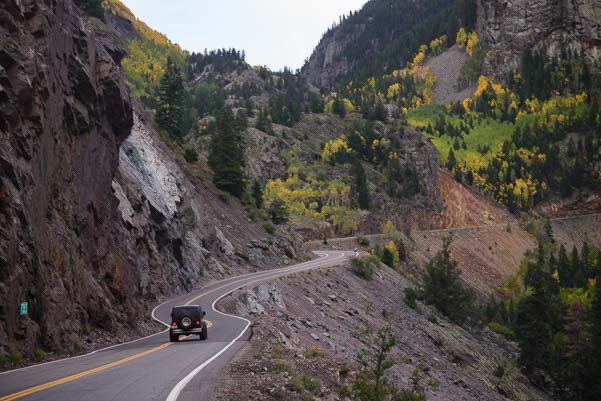 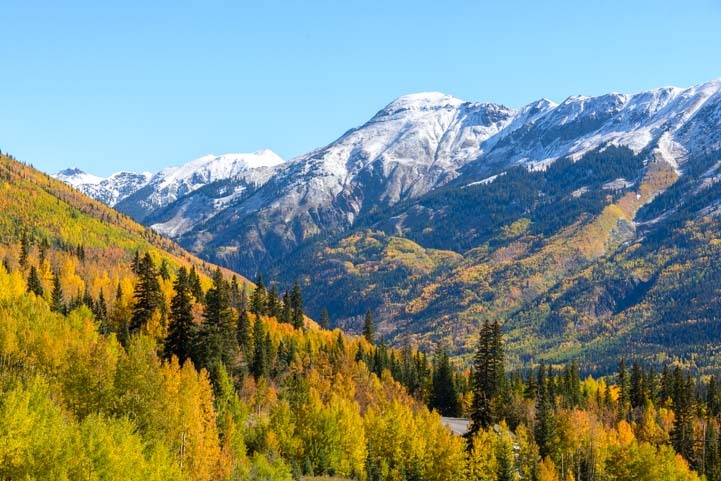 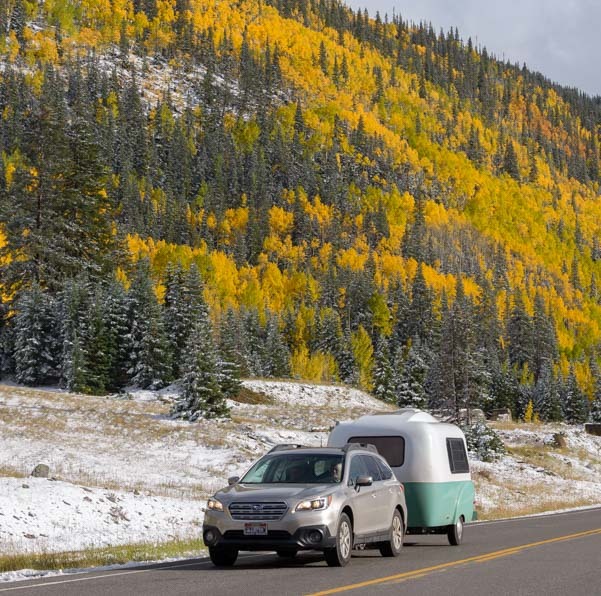 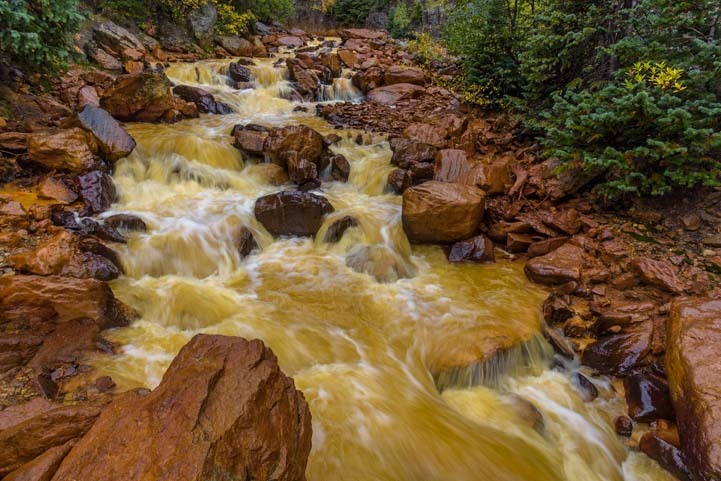 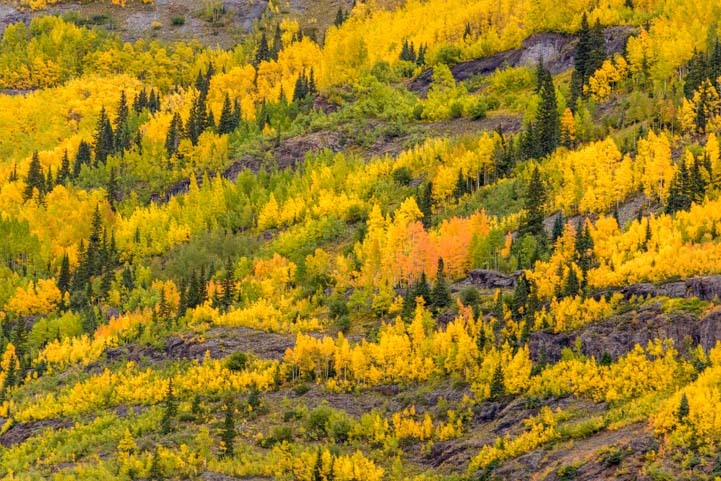 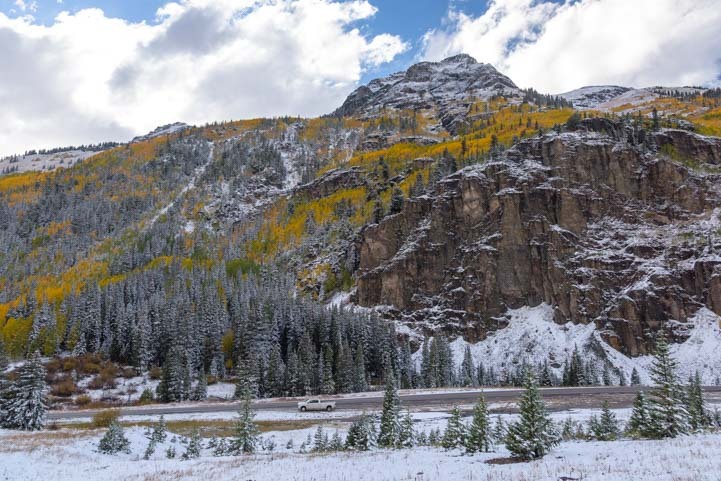 The area around Ouray, Ridgway, Silverton and Telluride is ablaze with vivid yellow and orange hues in the last 10 days of September, and the Million Dollar Highway — Route 550 between Ouray and Silverton — is knock-your-socks-off stunning. 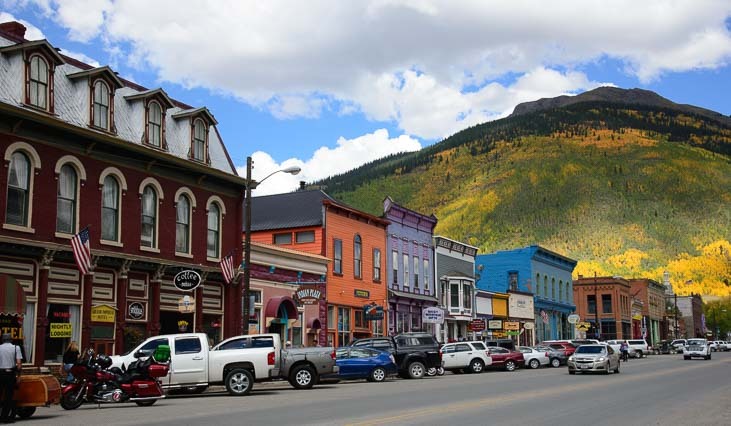 Not only is this area filled with vivid colors and jagged peaks, but the tiny mountain towns nestled between the summits are utterly charming. 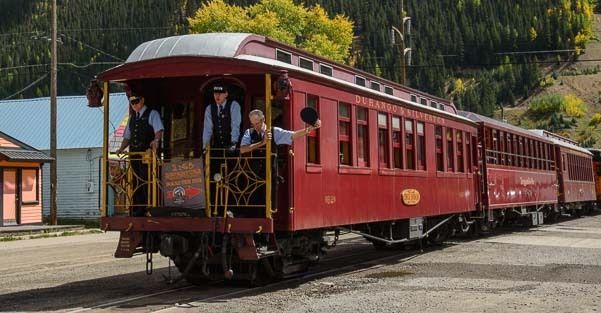 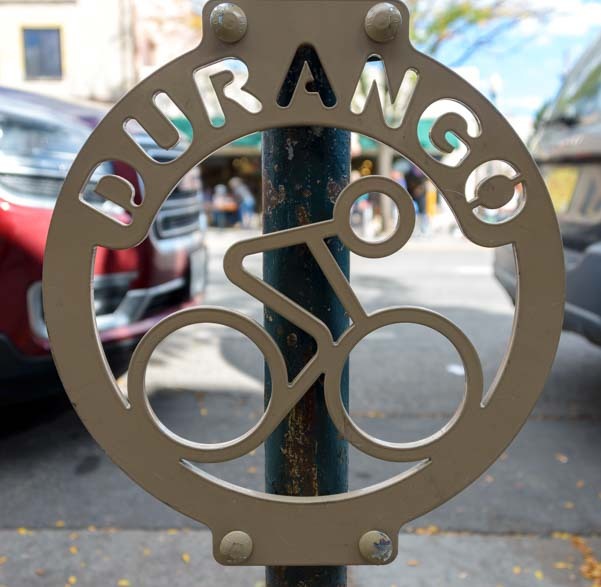 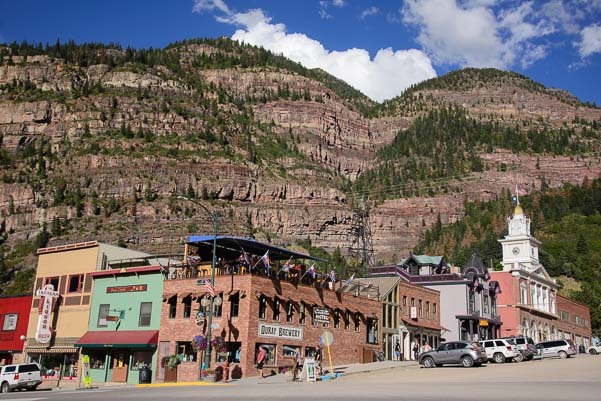 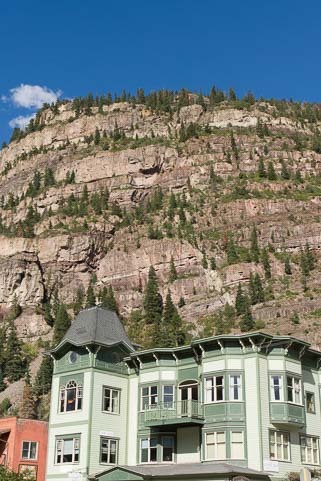 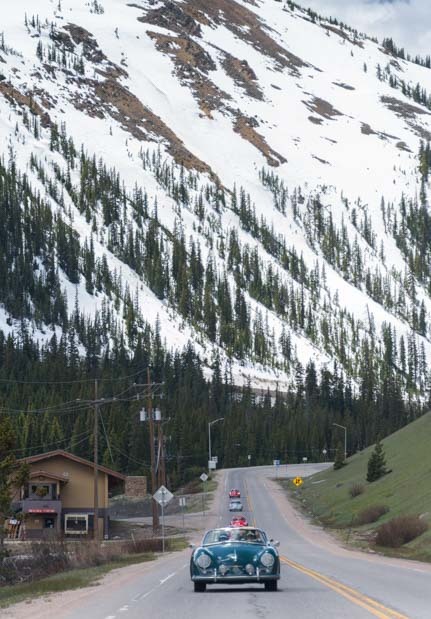 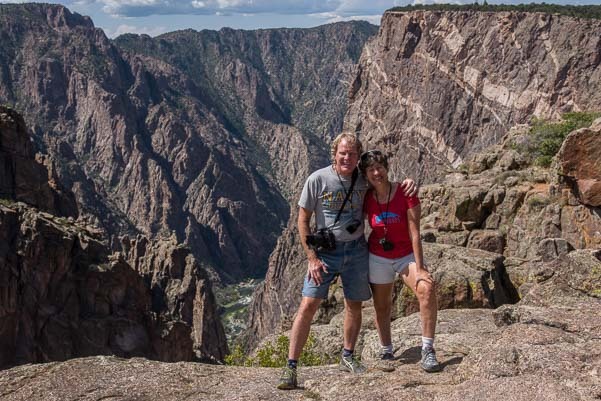 An old narrow gauge train takes visitors from Durango up one side of the mountains while the jaw-dropping Million Dollar Highway takes drivers up the other side from Ouray. 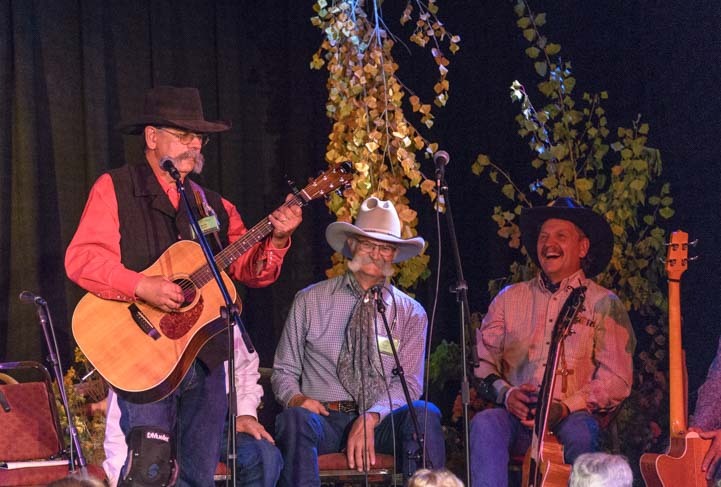 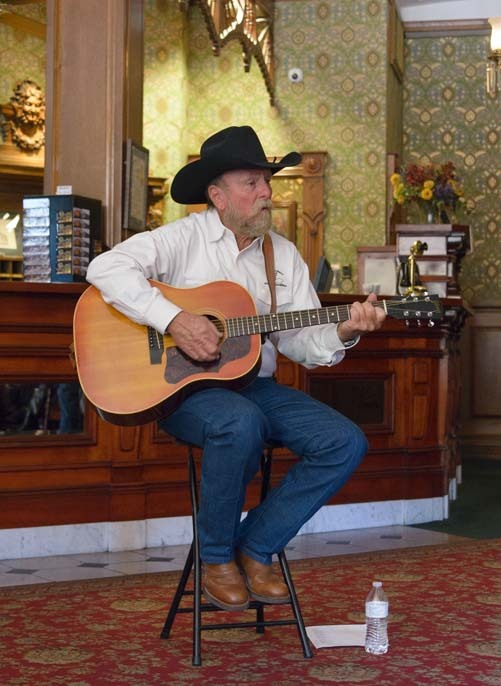 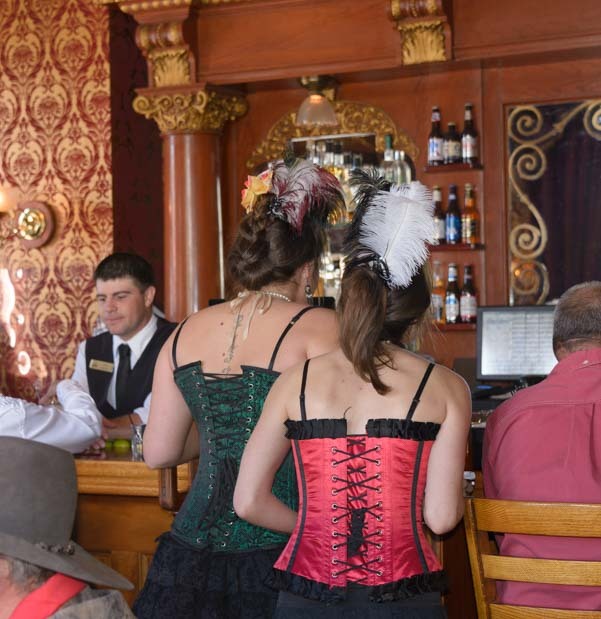 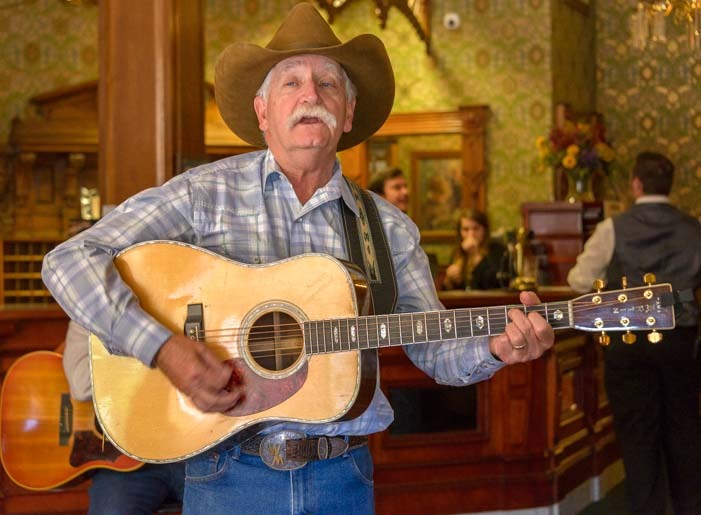 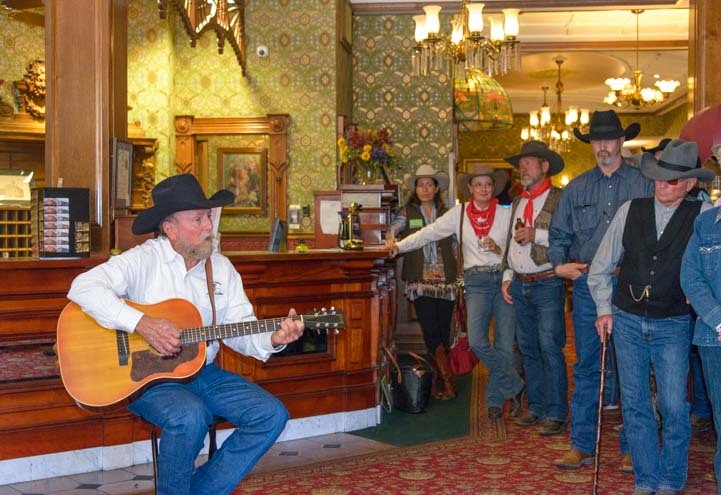 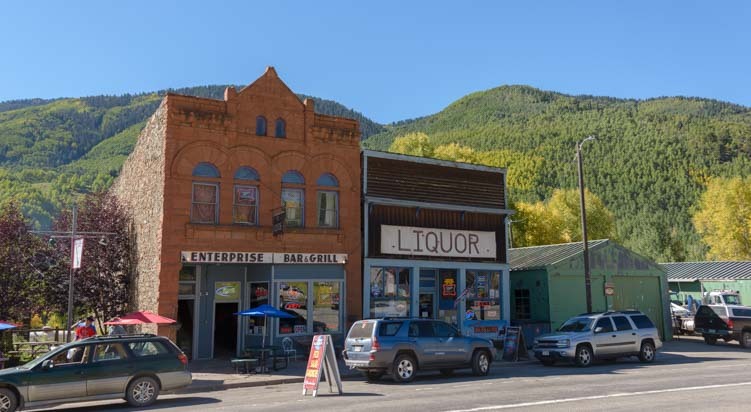 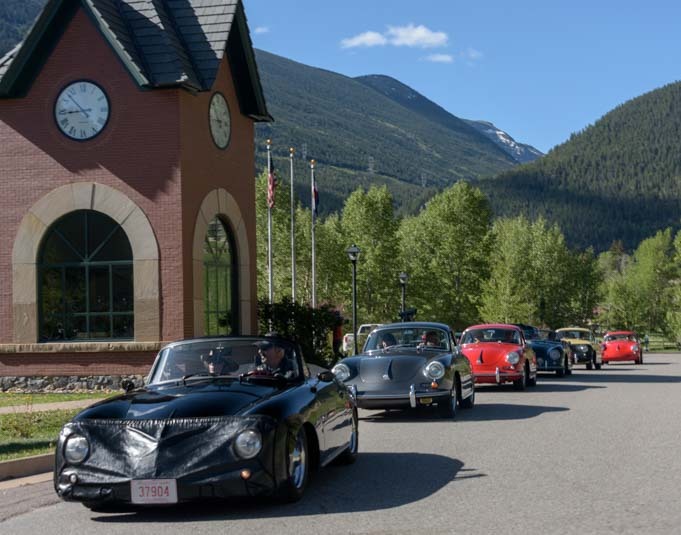 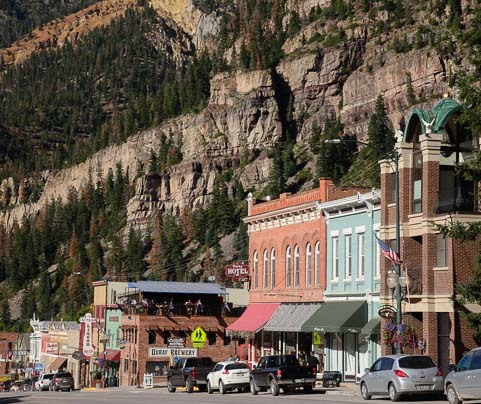 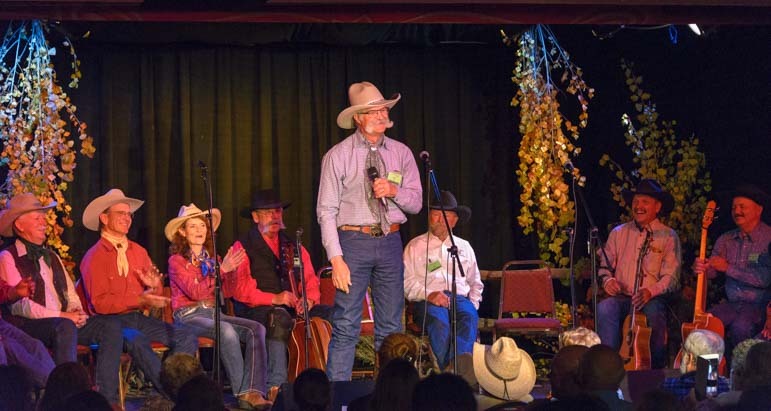 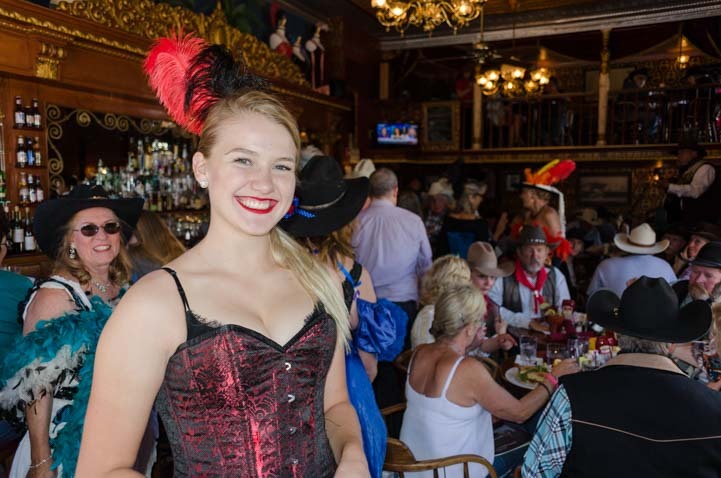 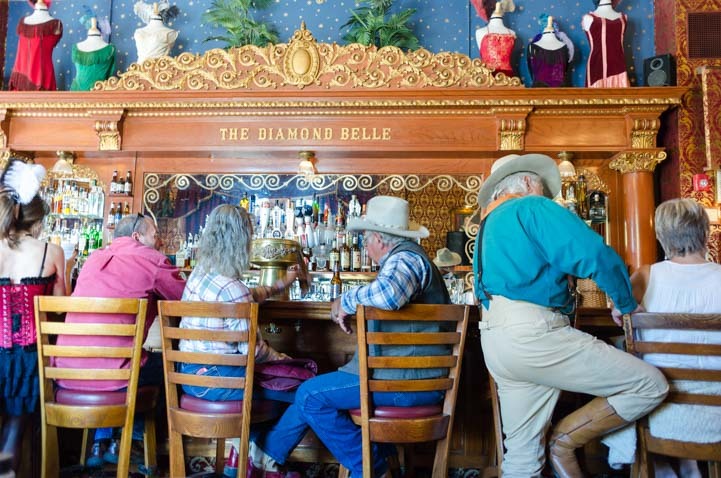 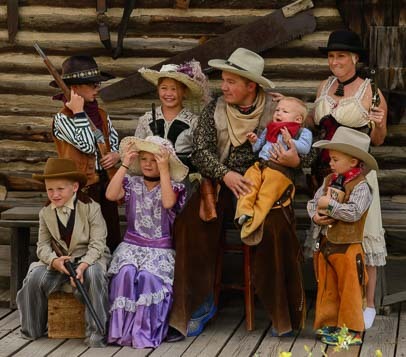 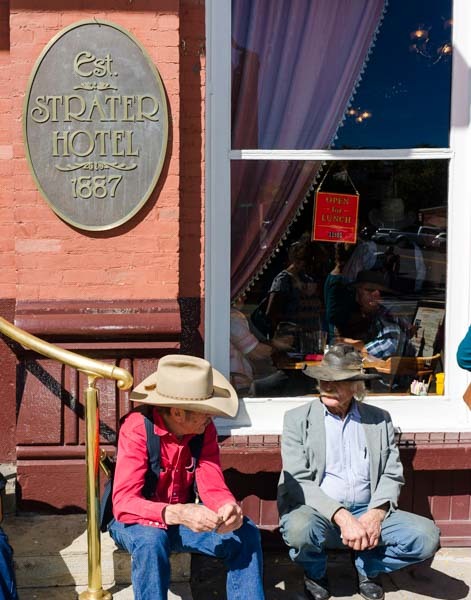 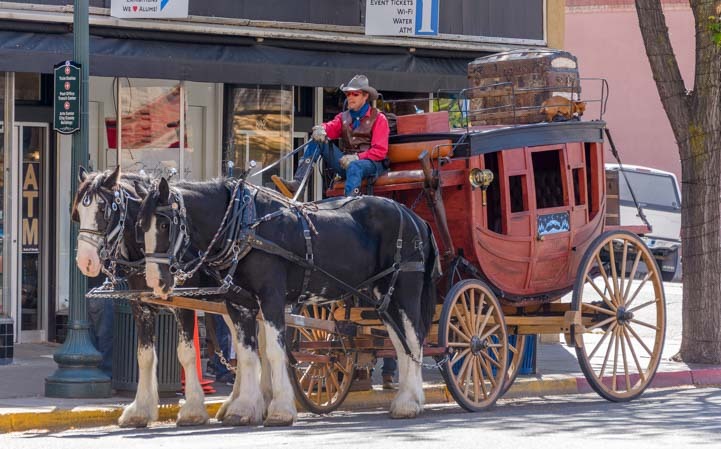 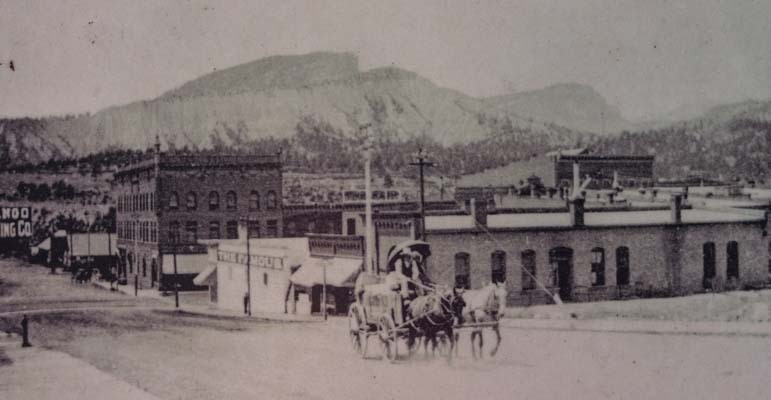 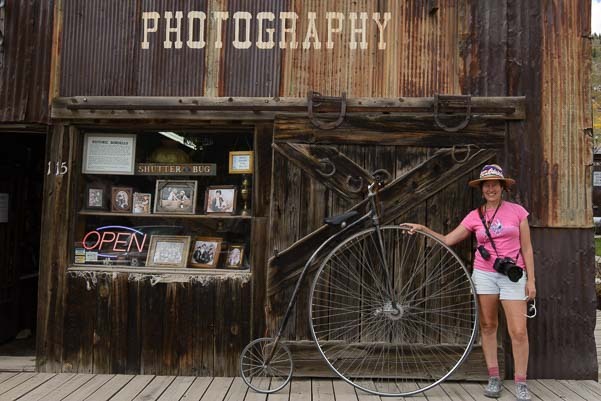 Both meet in the hamlet of Silverton where echoes of the wild west can be heard and felt in the antique miners’ buildings around town. 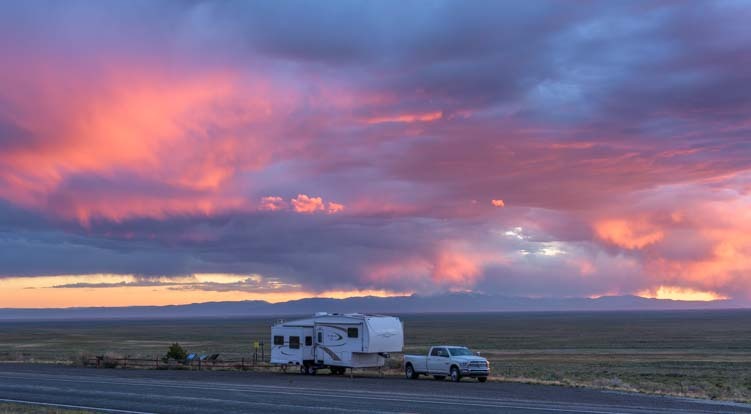 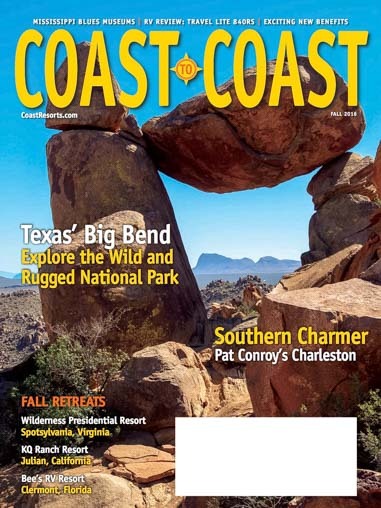 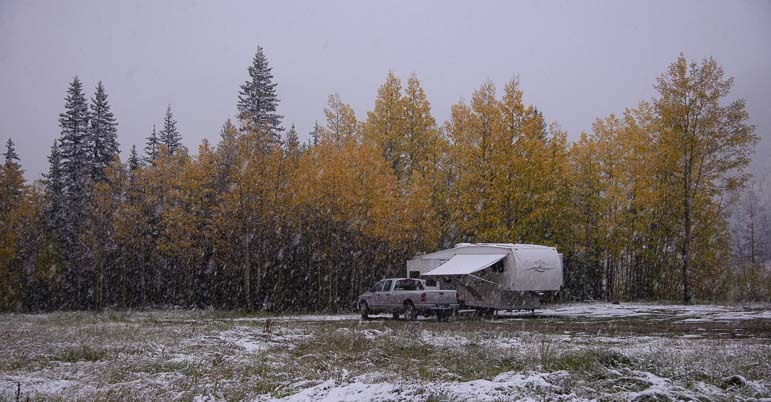 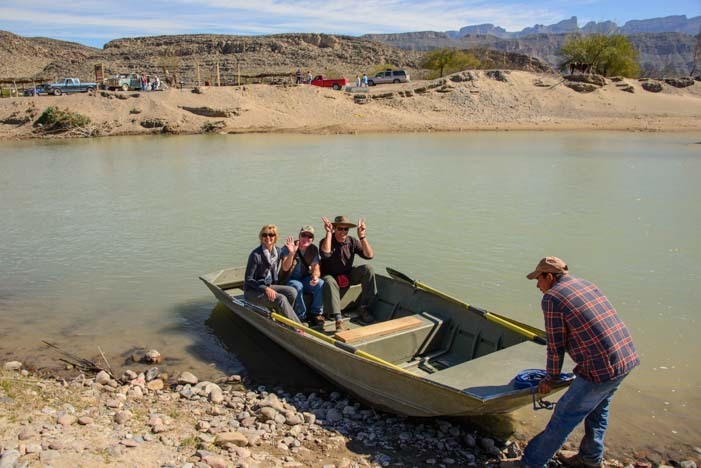 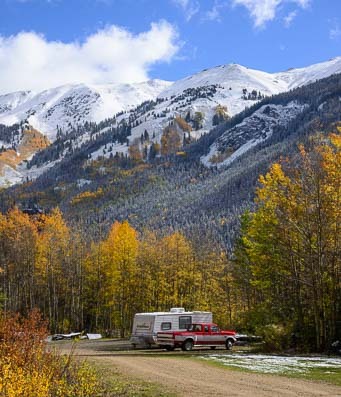 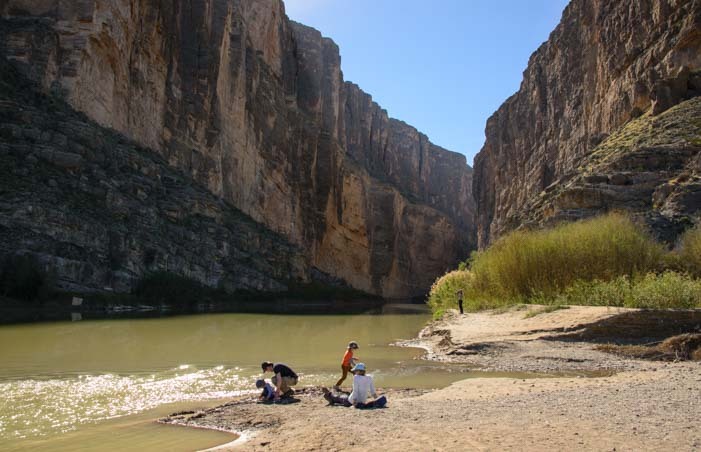 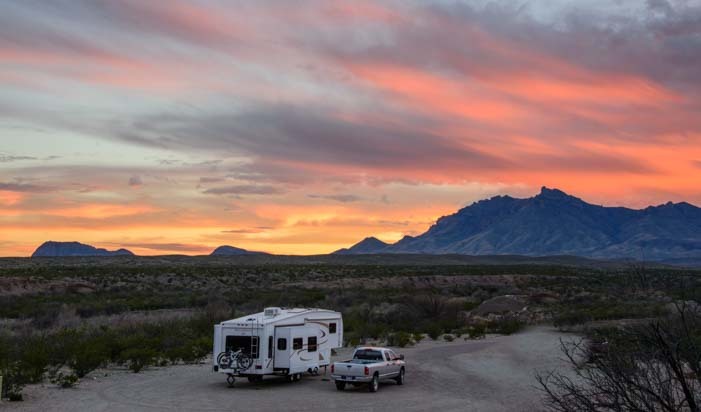 Coast to Coast is the magazine for Coast to Coast Resorts, a campground membership program of over 400 RV parks that gives RVers a way to invest in their future travels and enjoy resort style RV living for a nominal nightly cost. 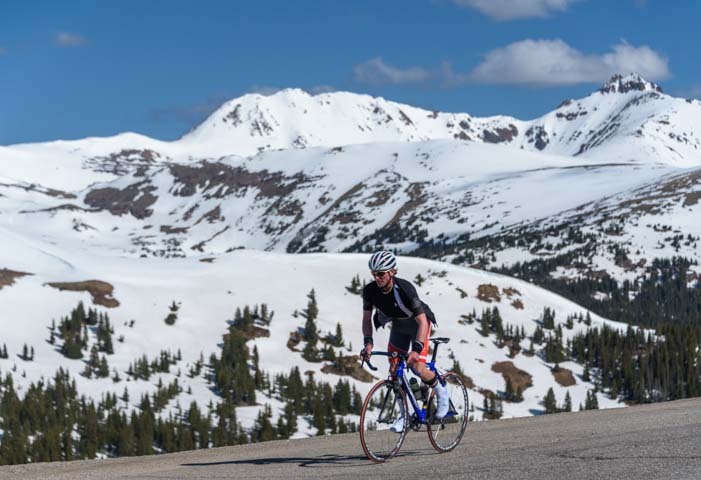 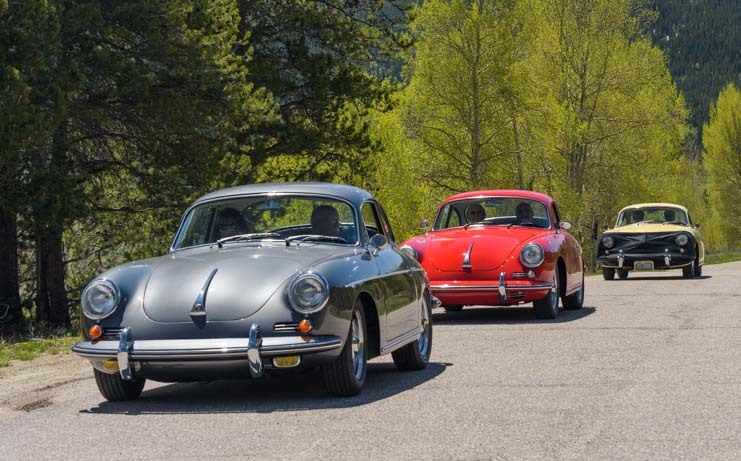 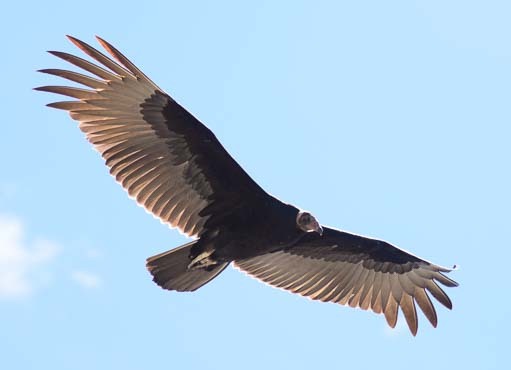 The editors of Coast to Coast have been kind enough to allow me to share the article here.